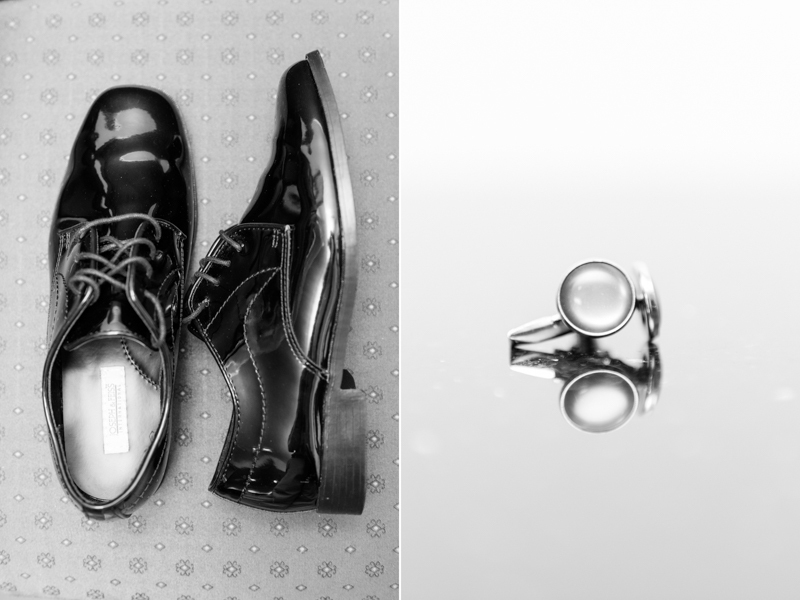 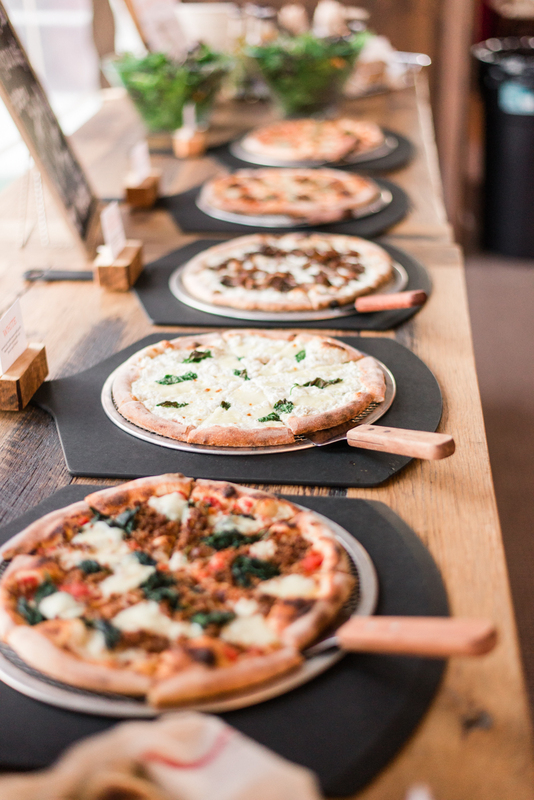 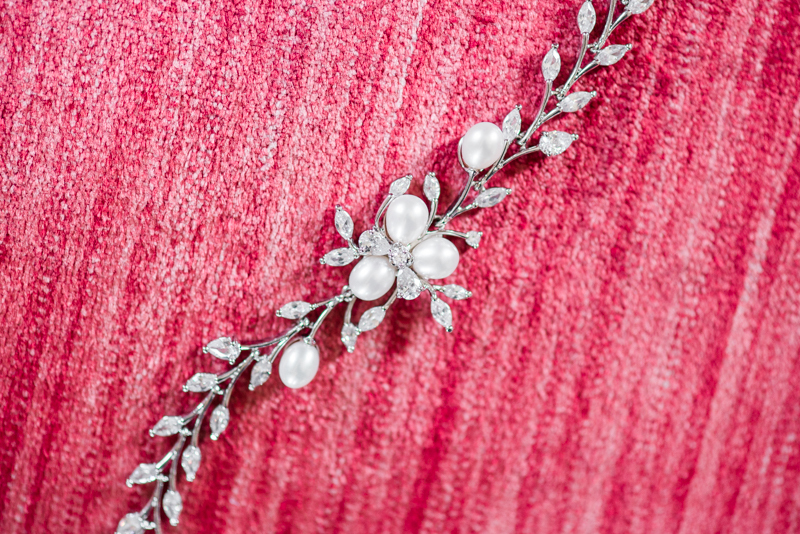 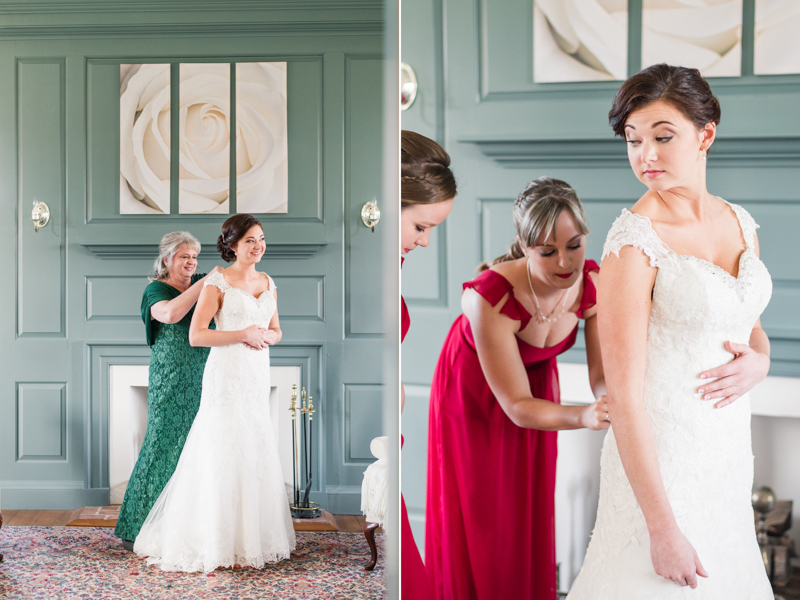 Goodness gracious, today's blog is absolutely fabulous! 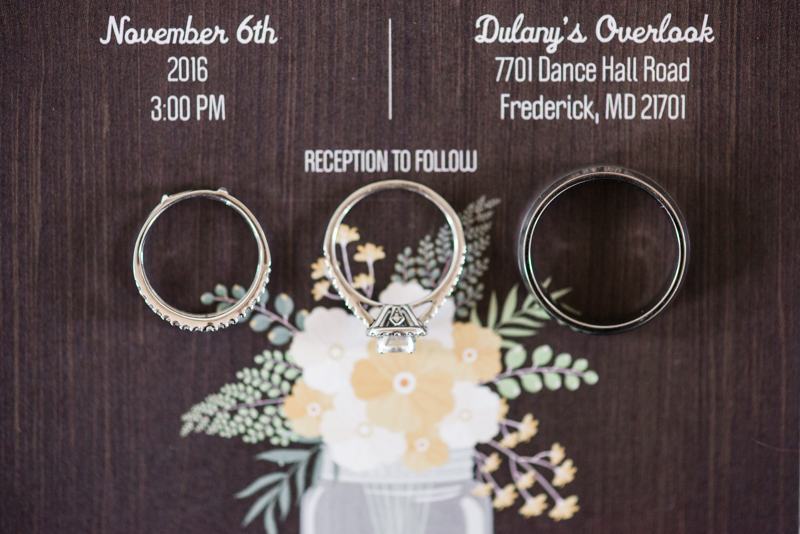 On Sunday, Shawn and I traveled out to Dulany's Overlook in Frederick for Chelsey and Taylor's rustically fall wedding. 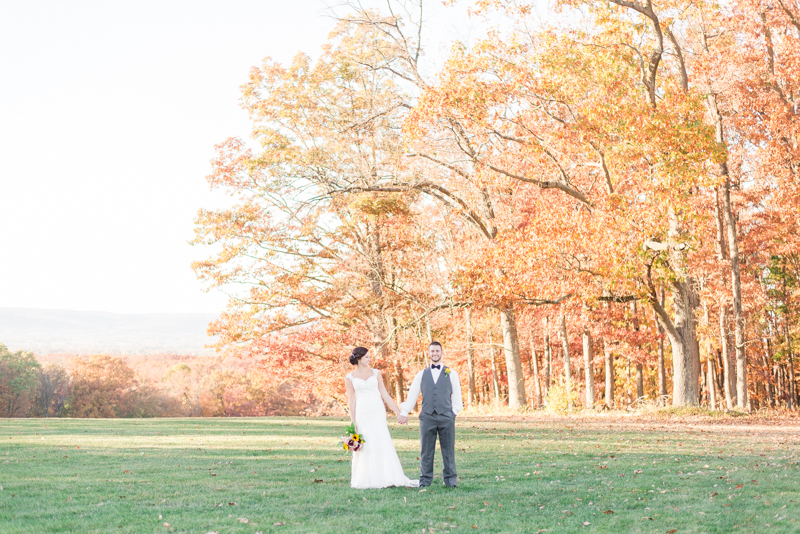 Pulling up with the scenery left my jaw on the ground. 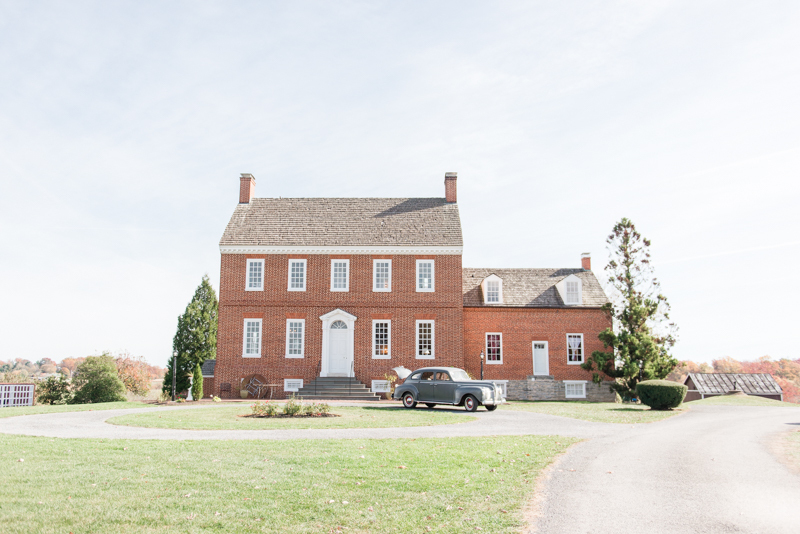 As you drive up the long driveway, the estate appears like something out of a Disney movie, and I fell in love immediately. 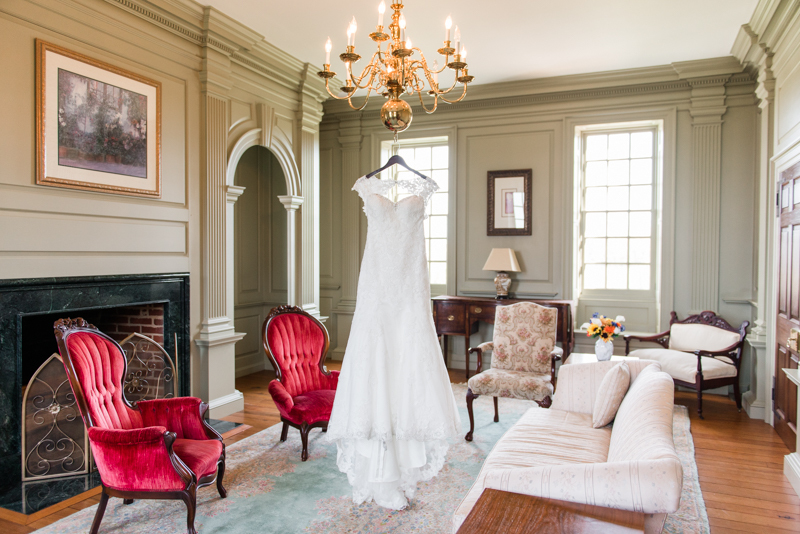 Inside the house, every room is so immaculate, it's like they were taken straight out of a magazine. 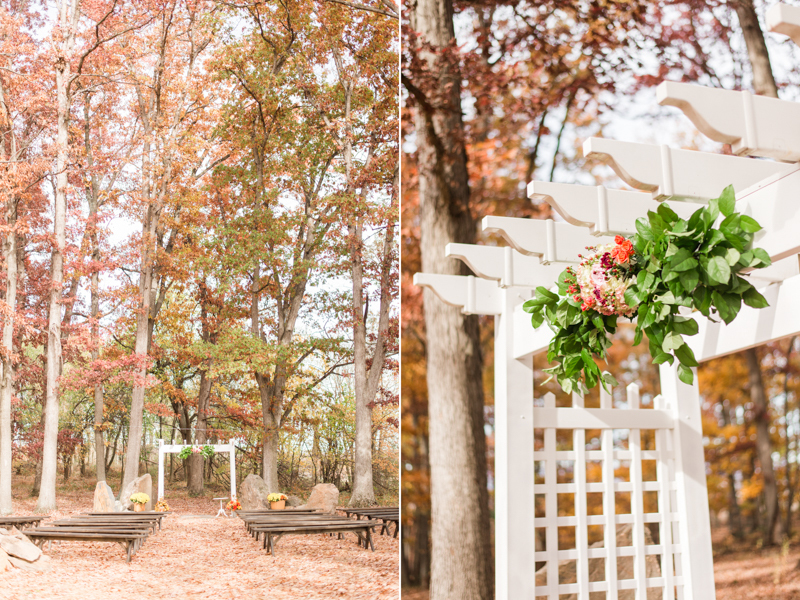 There is so much charm at Dulany's Overlook, I couldn't pick my favorite section if I had to. 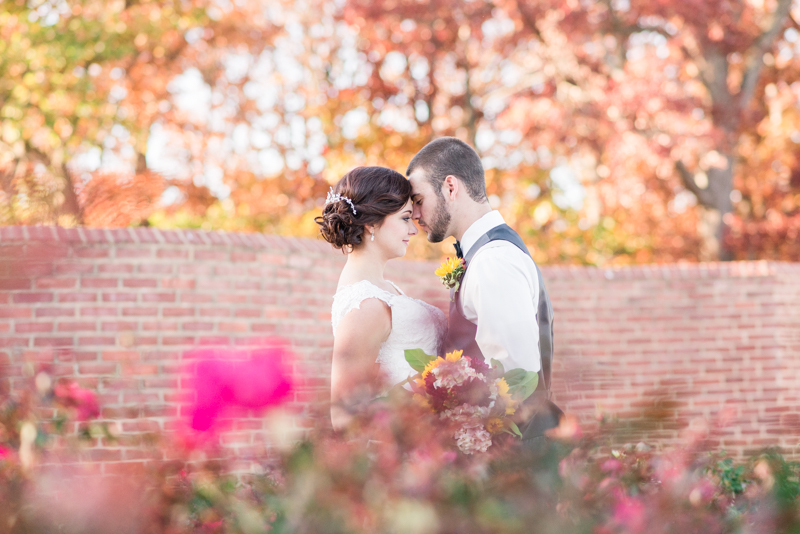 It was one of the most gorgeous fall days. 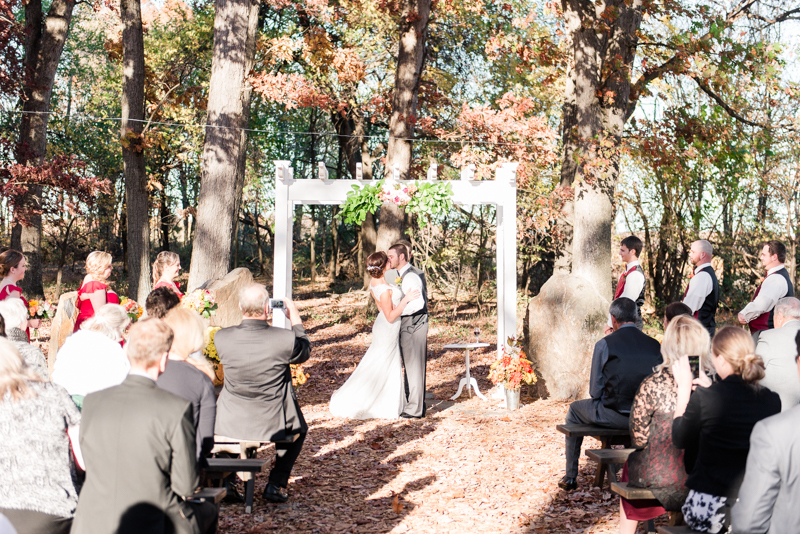 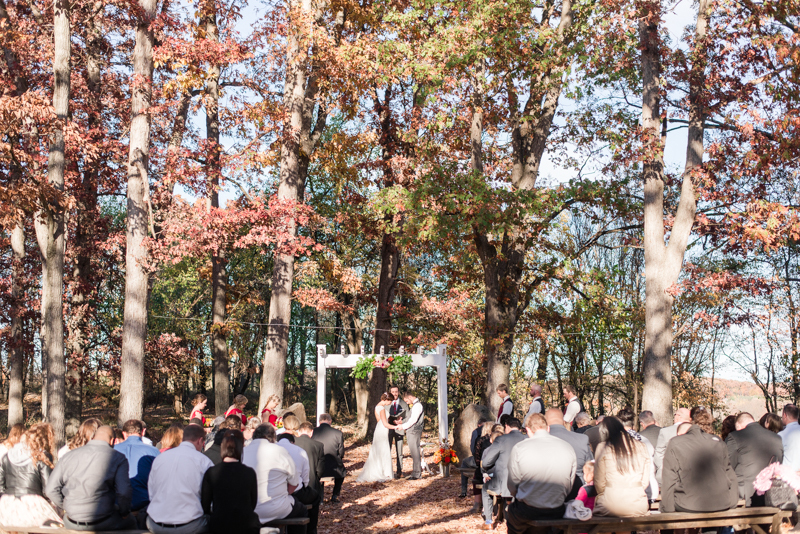 The sun warmed the air and kept everything bright and cheery for their ceremony in the trees. 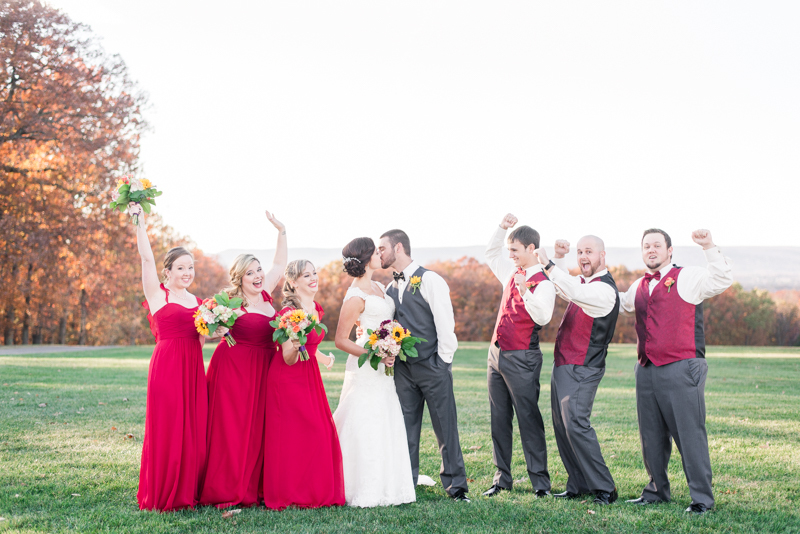 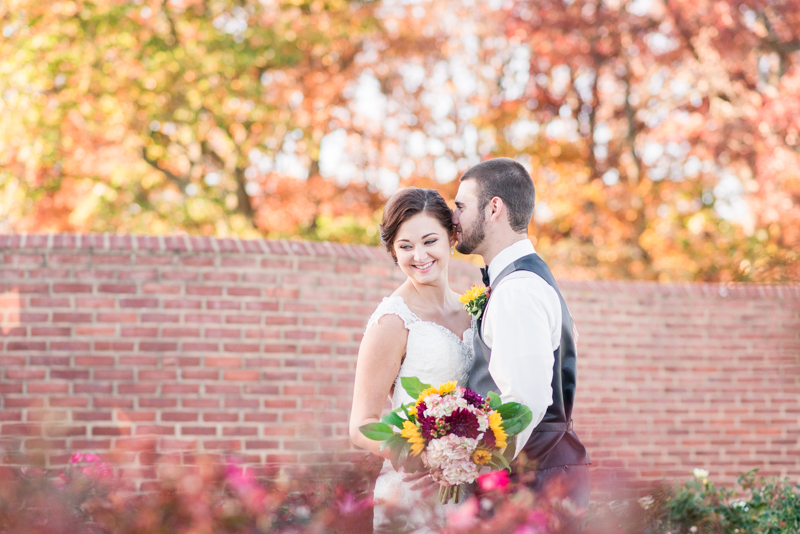 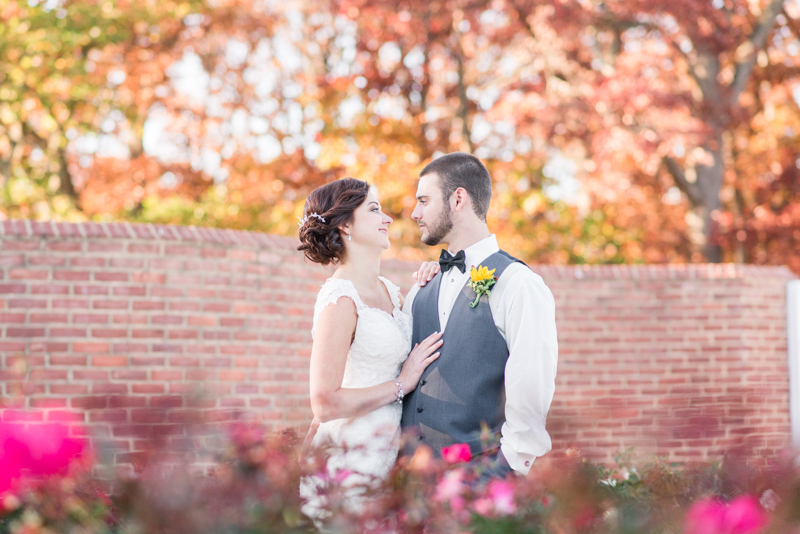 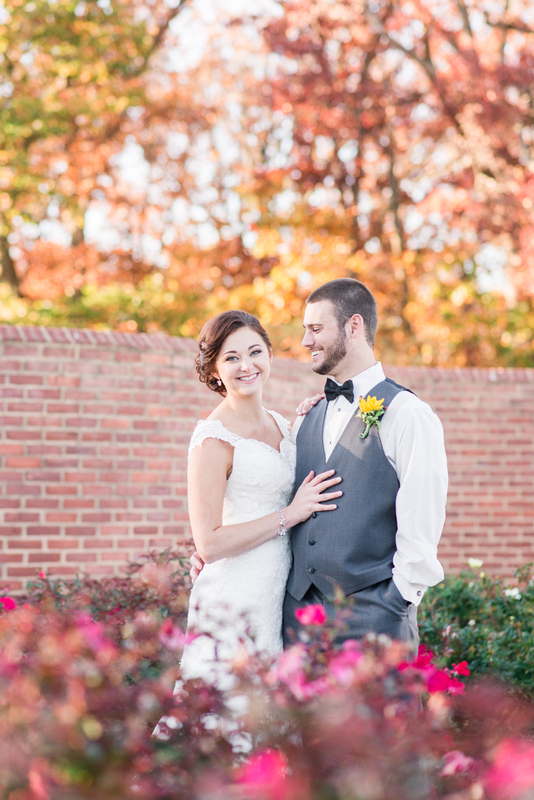 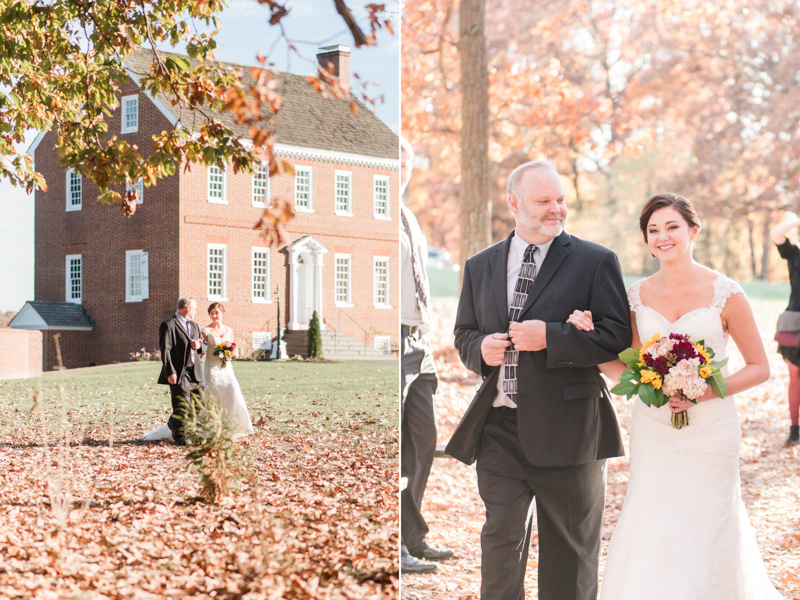 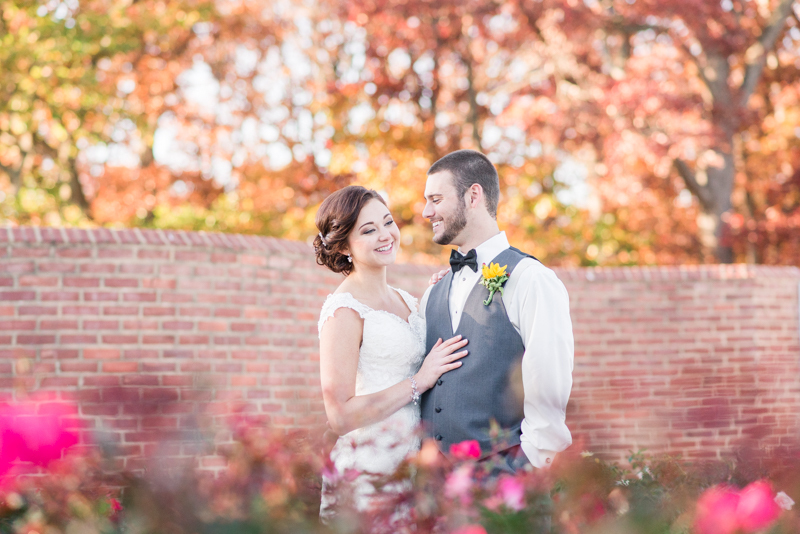 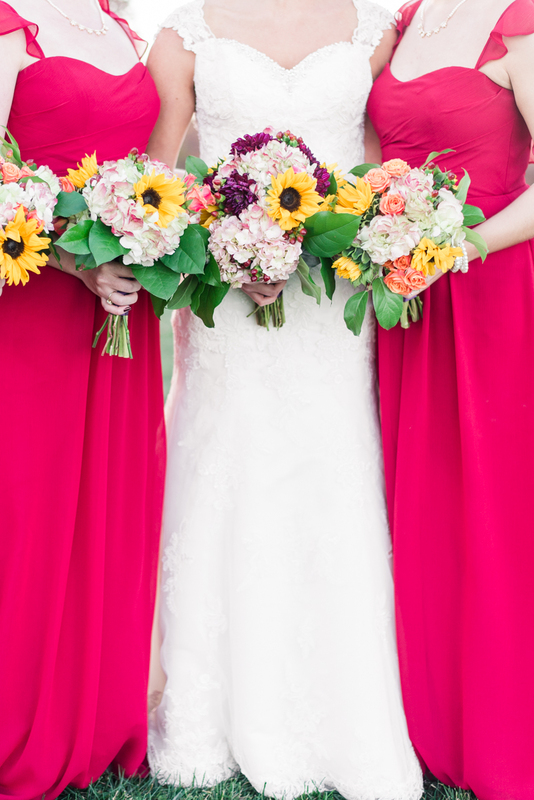 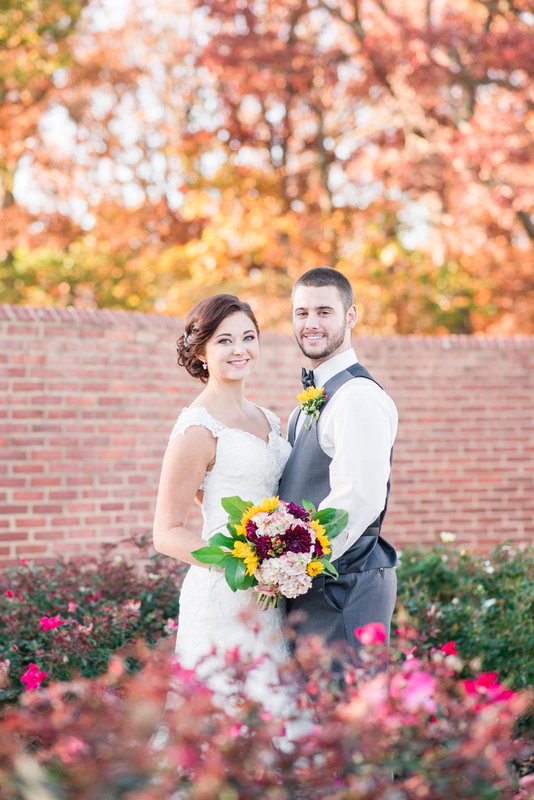 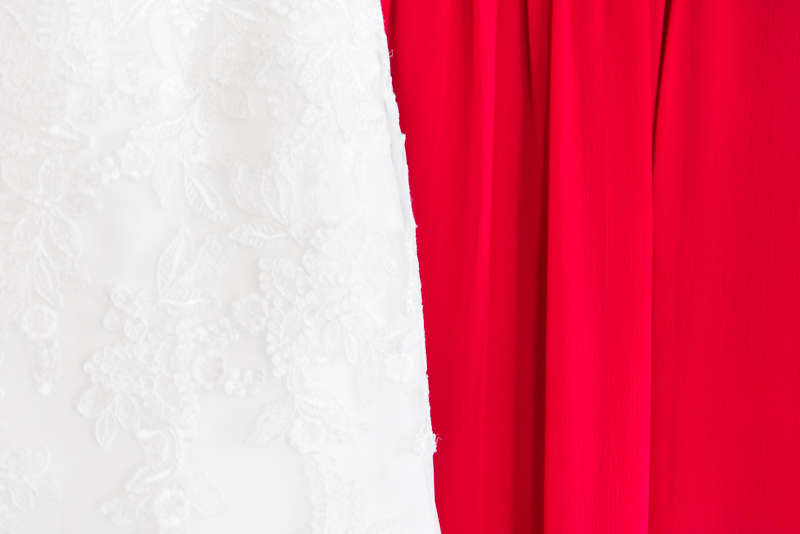 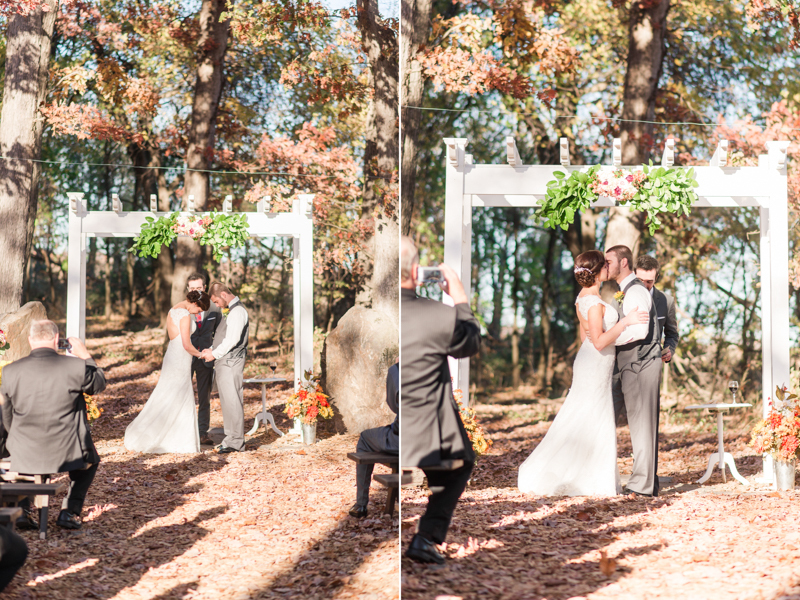 Surrounded by orange and crimson leaves, these two could not have planned for better weather to celebrate their union. 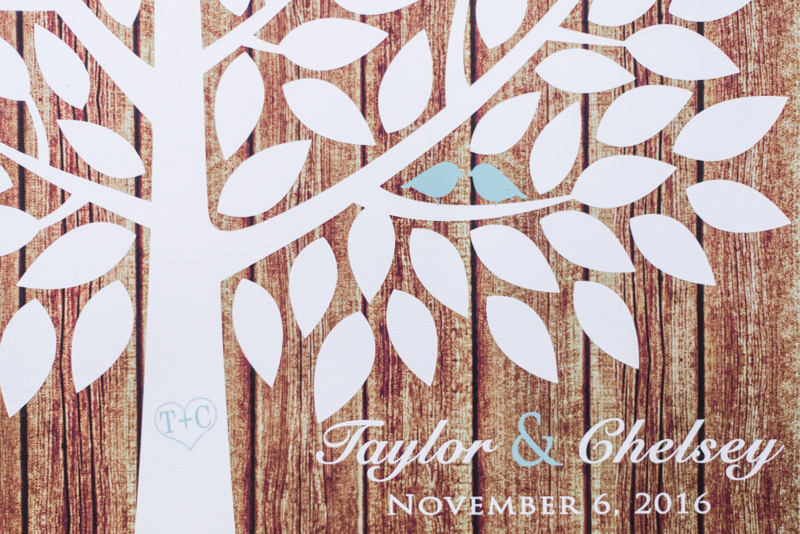 There is something incredibly special about Chelsey and Taylor. 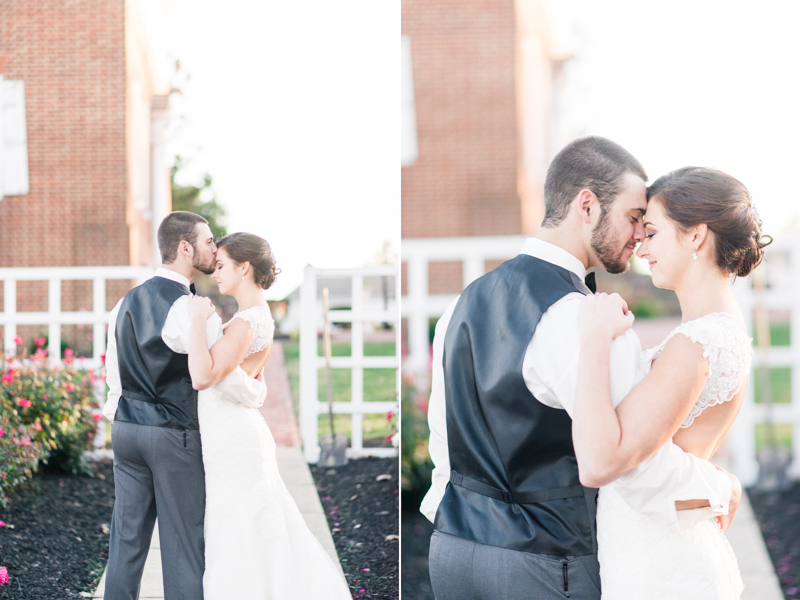 When they are together, it's awe inspiring. 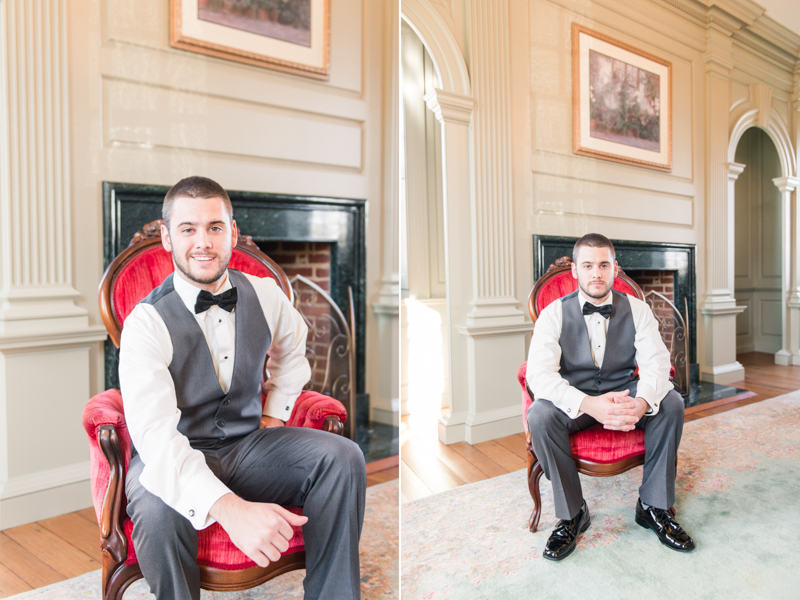 I can say without a doubt that the only nerves from the day were because they were so ready to be husband and wife. 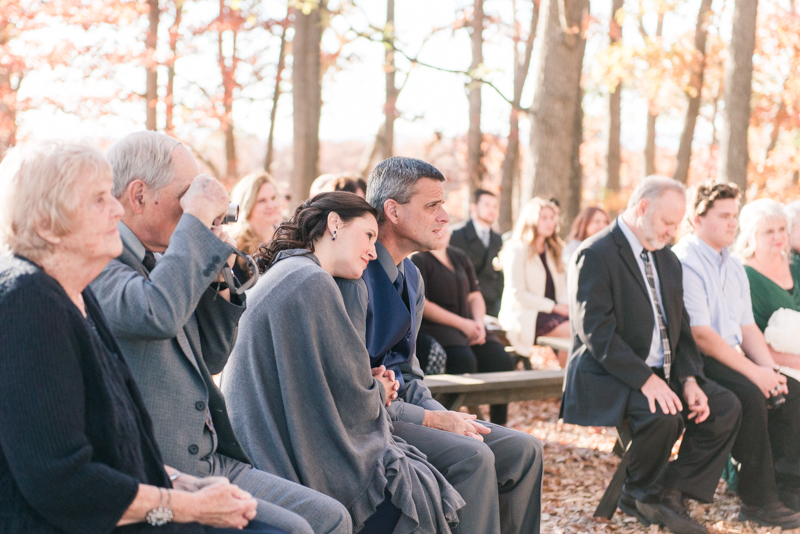 Both Chelsey and Taylor were calm during the walk down the aisle. I know the second they met at the end of the aisle I had tears rolling down my cheeks. 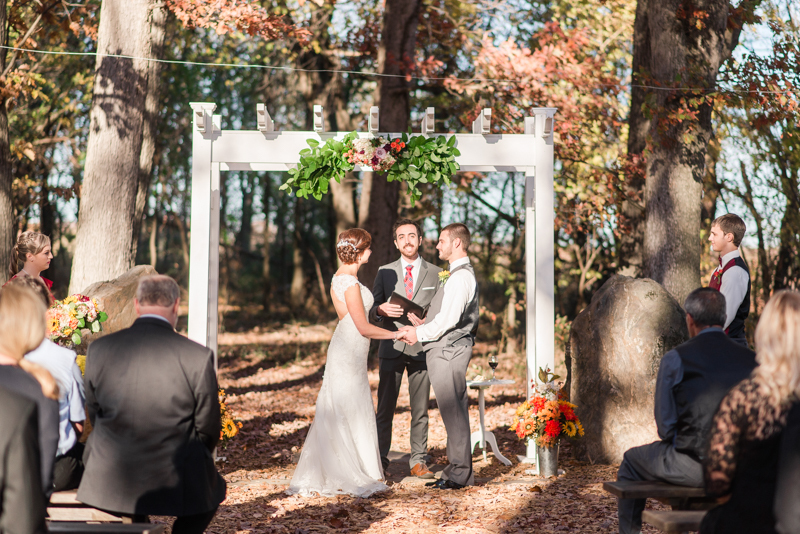 After the ceremony, there were plenty of people were outside and enjoying the cocktail hour before dinner. 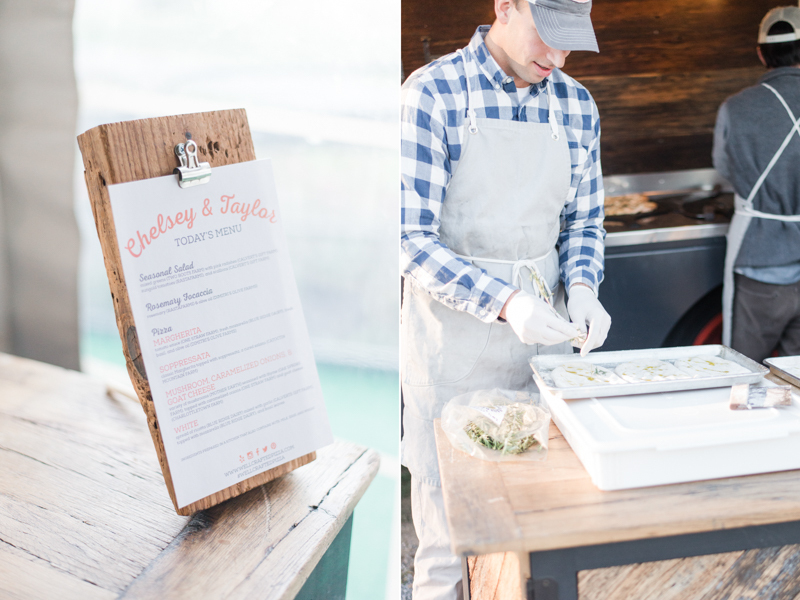 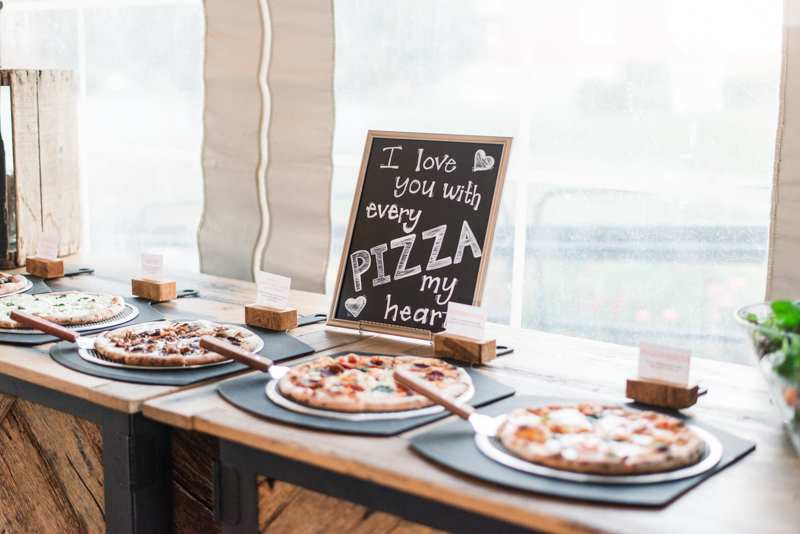 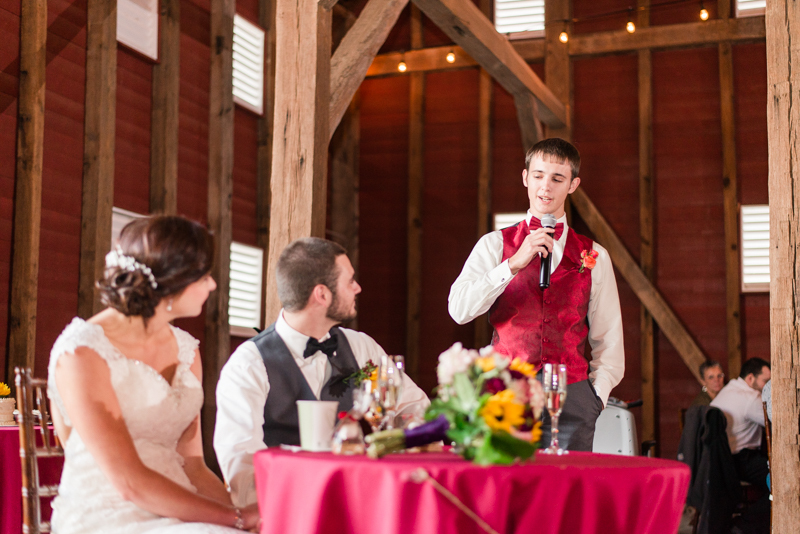 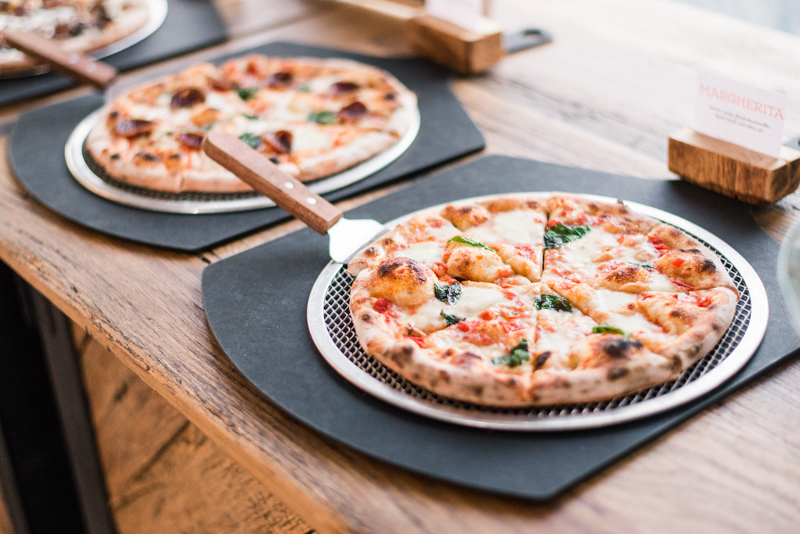 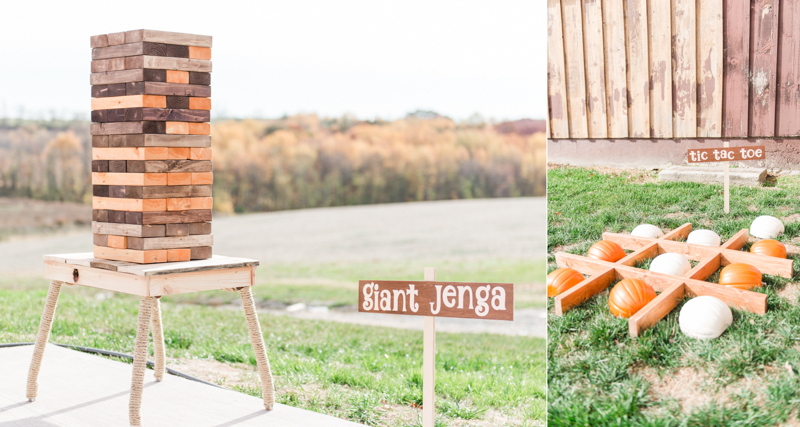 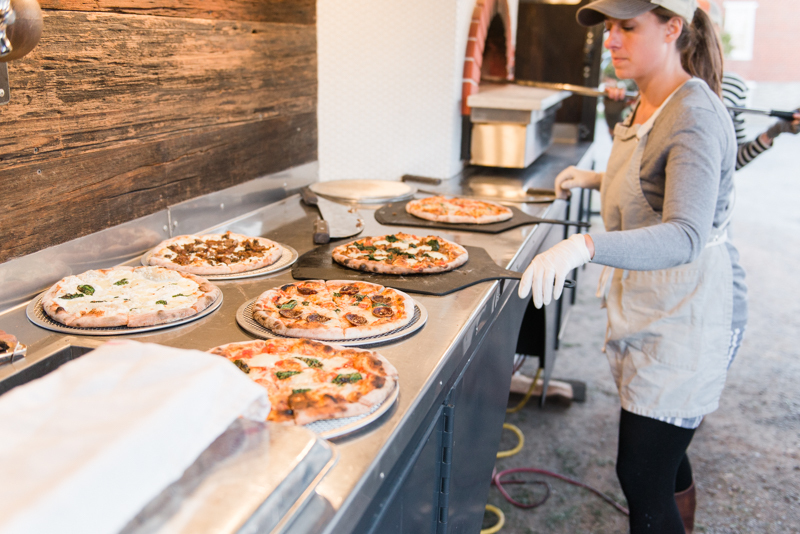 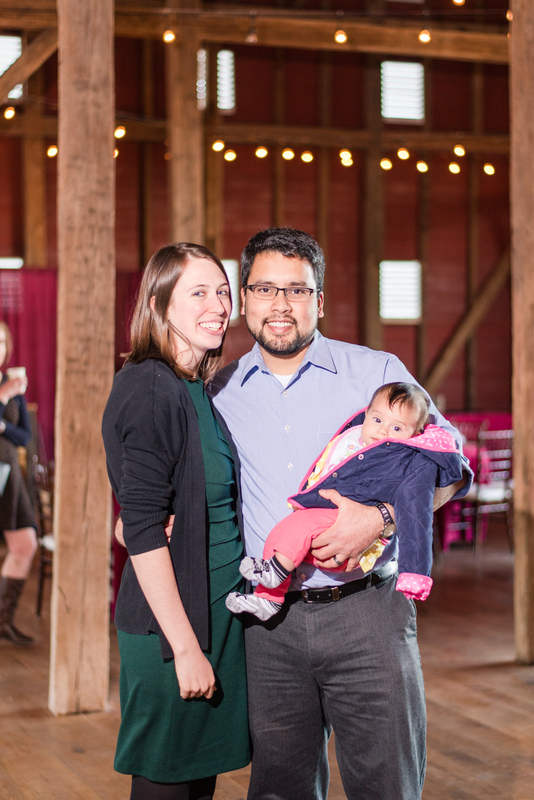 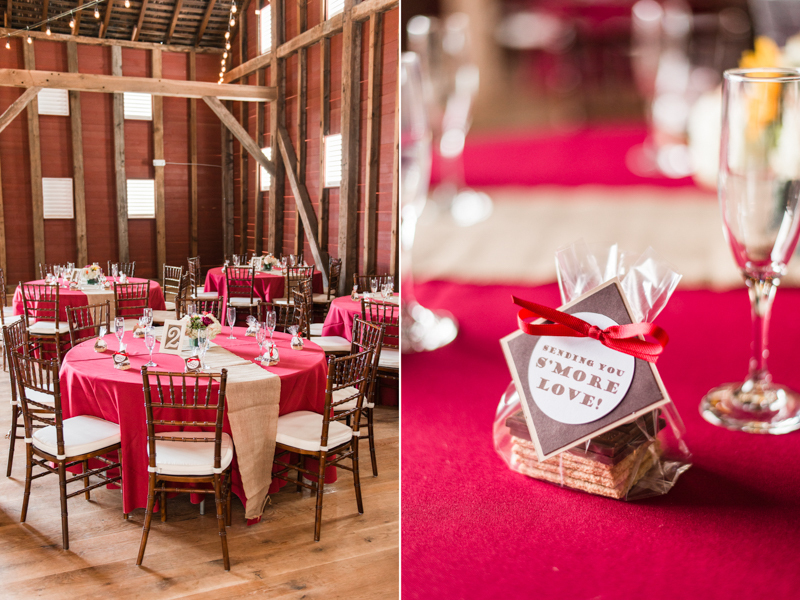 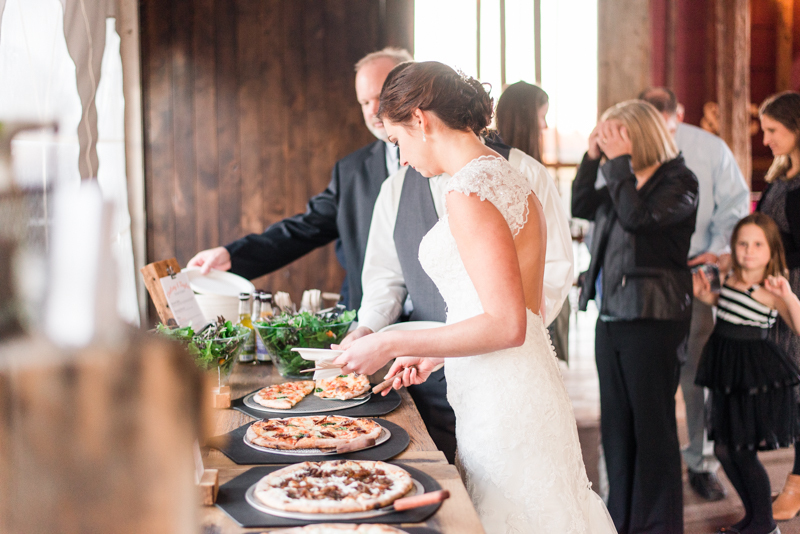 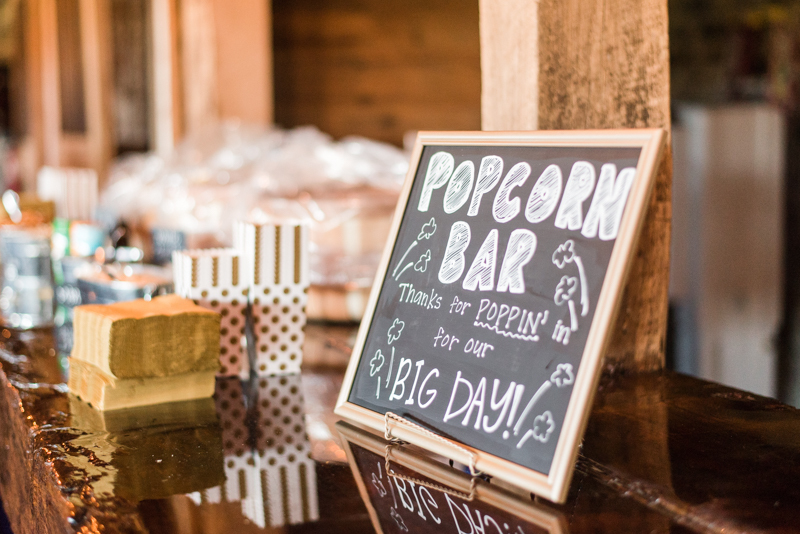 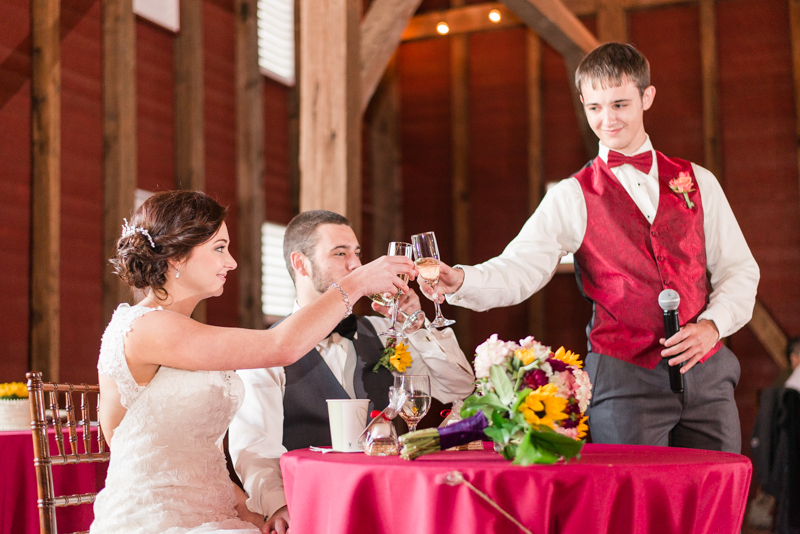 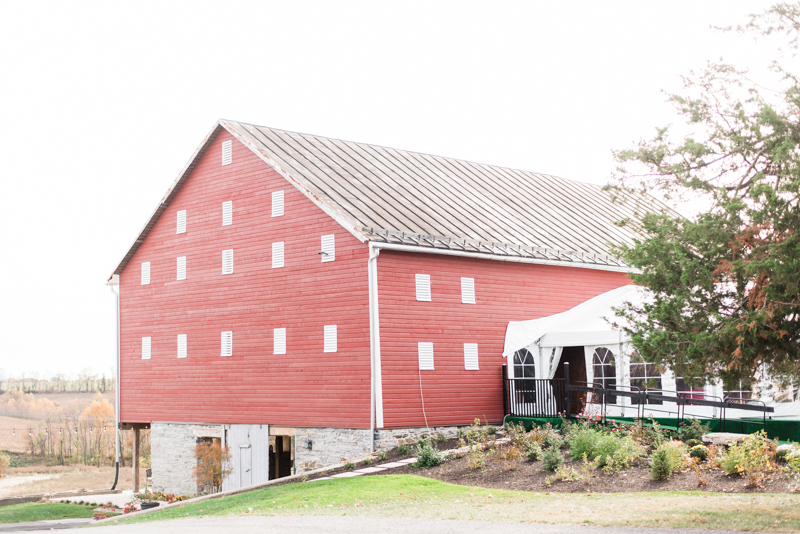 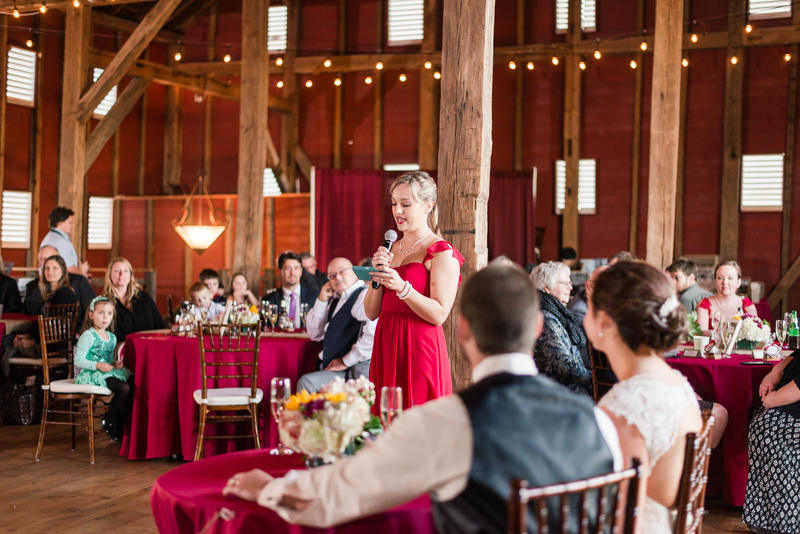 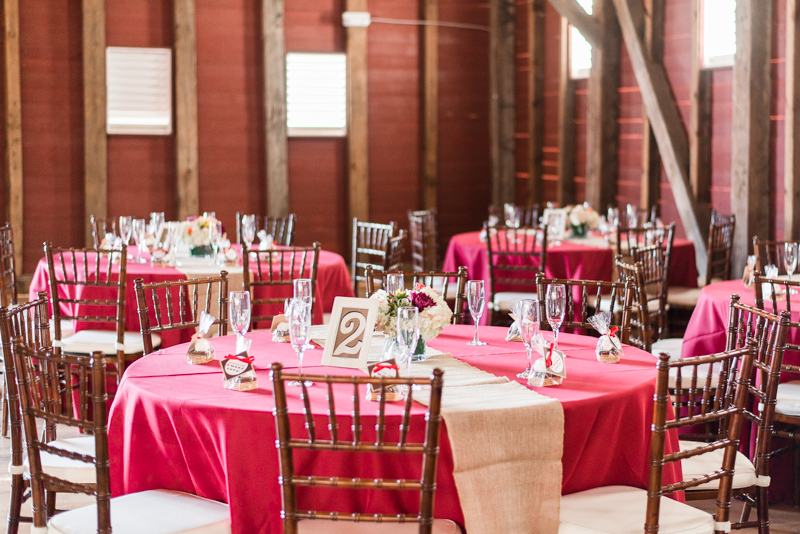 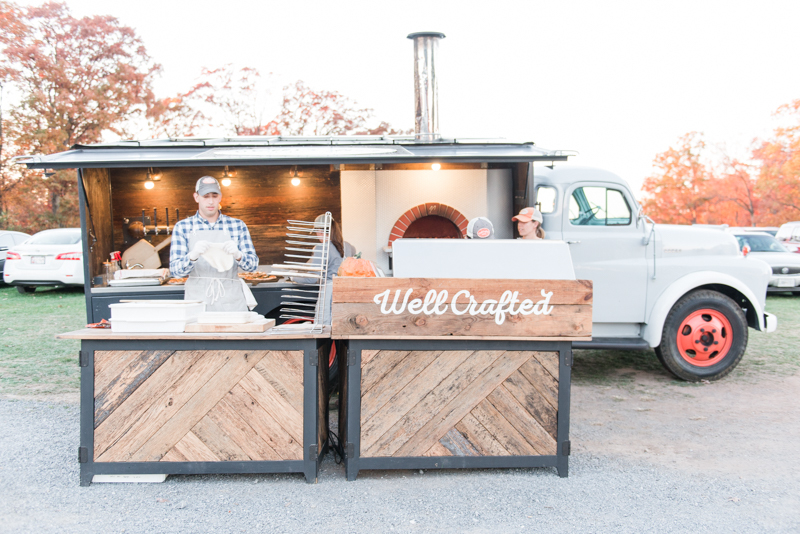 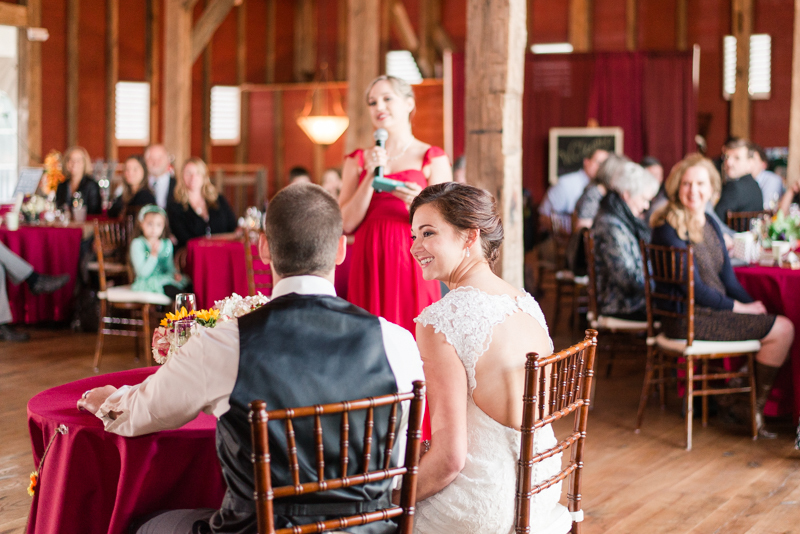 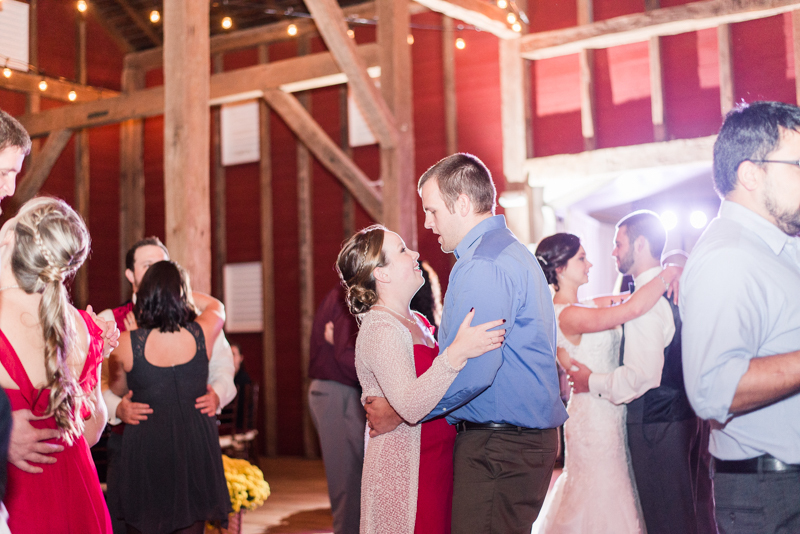 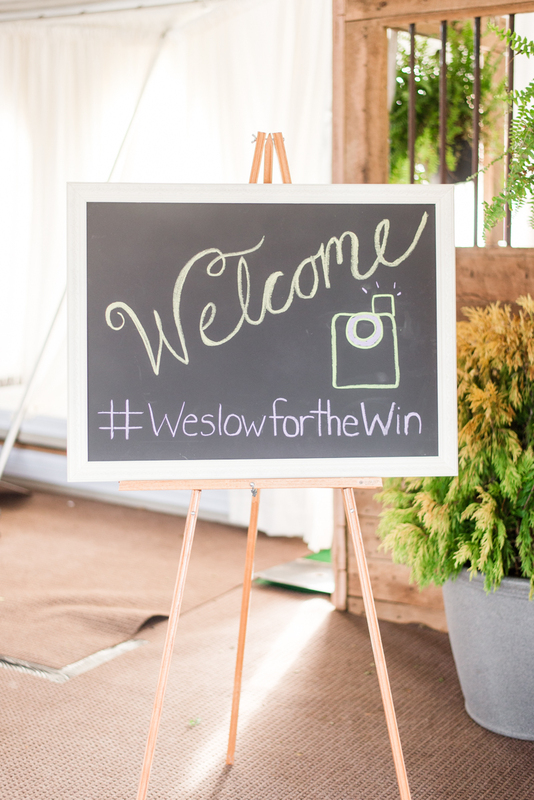 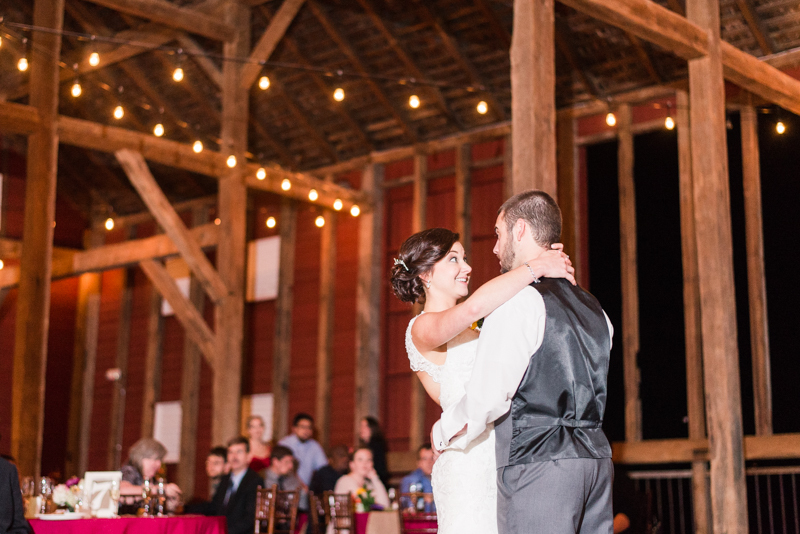 The reception space took place in a beautiful barn with enough space for lawn games out back. 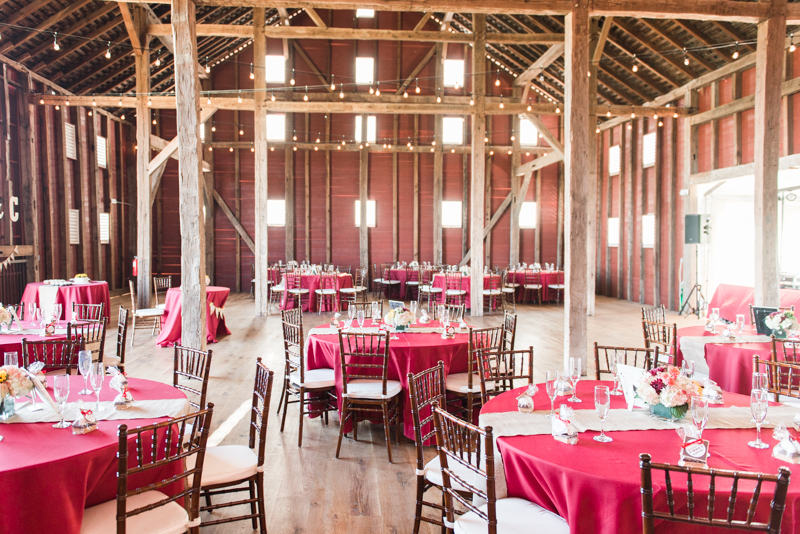 My favorite part of any wedding is the transformation of the party area. 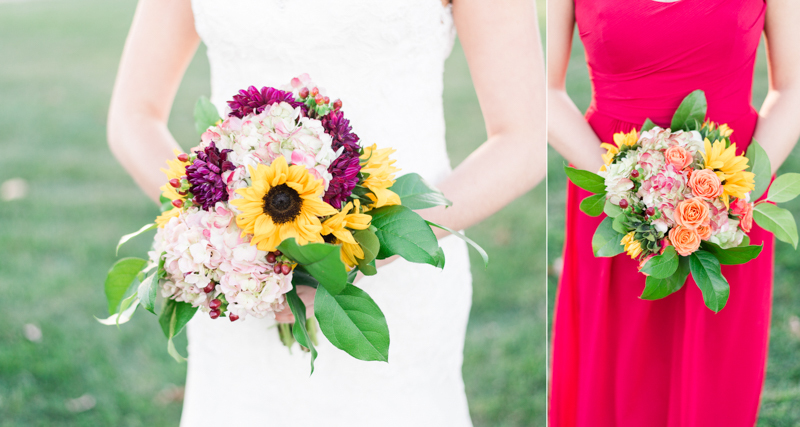 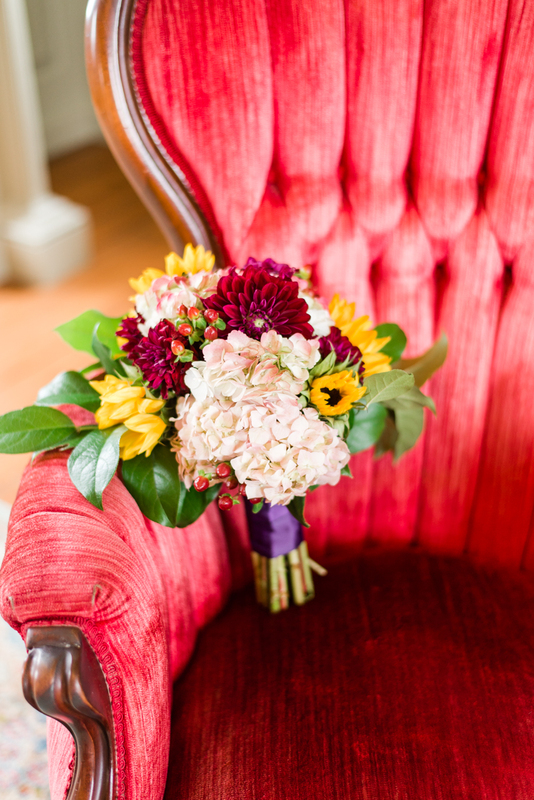 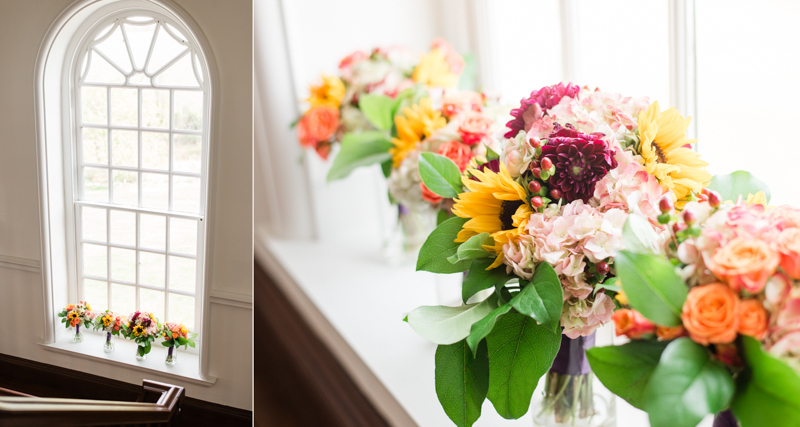 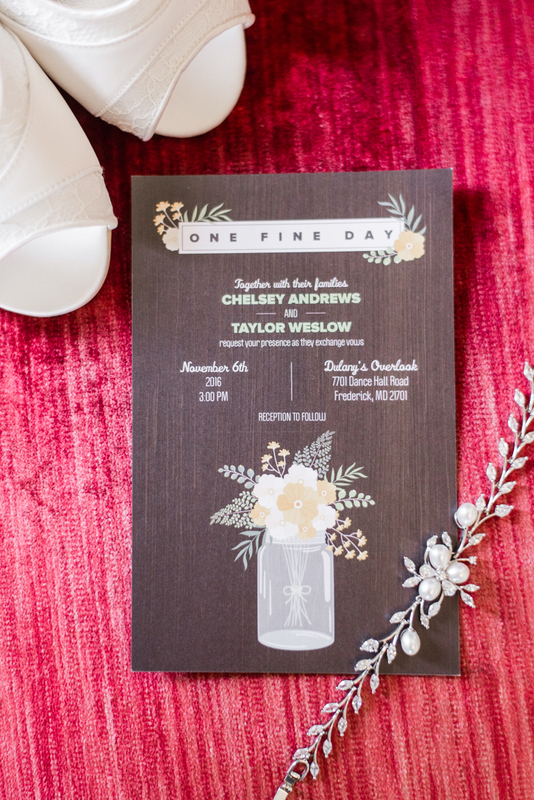 Seeing the wedding colors and fresh florals bring life to a space is really fantastic. 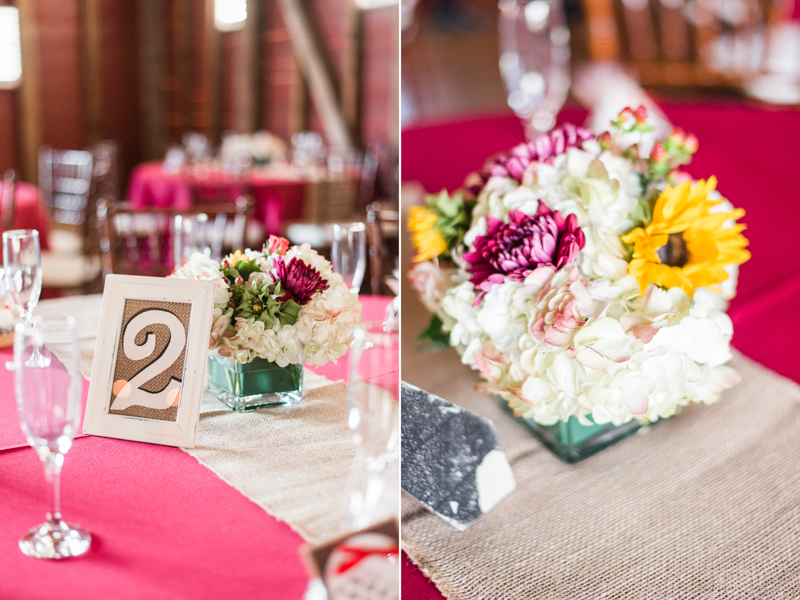 There were so many little details around the area, it felt like there was always an adorable feature to catch. 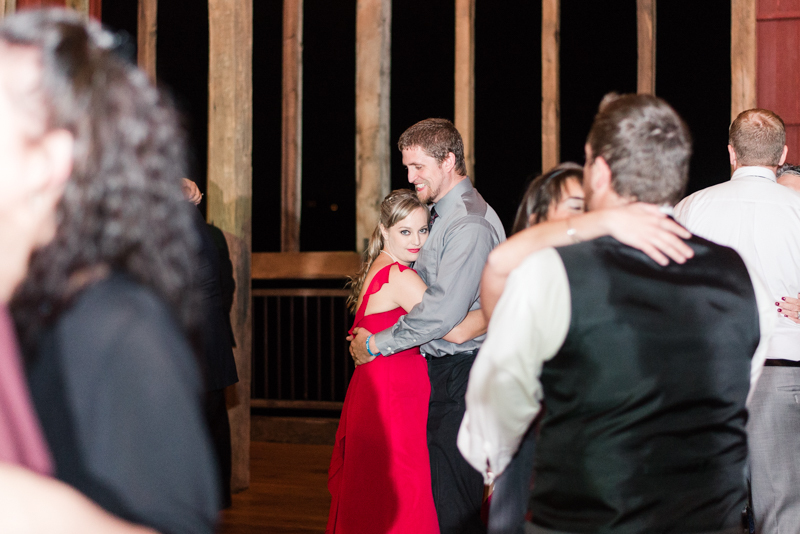 Watching the way Taylor looks at Chelsey and how they giggle and have fun together makes me so giddy. 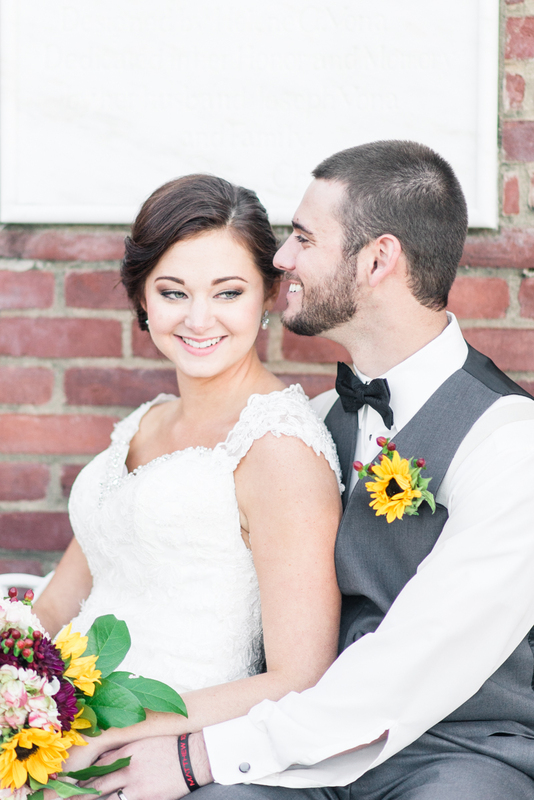 During portrait time, Taylor knew exactly what to do in order to get Chelsey to burst with laughter. 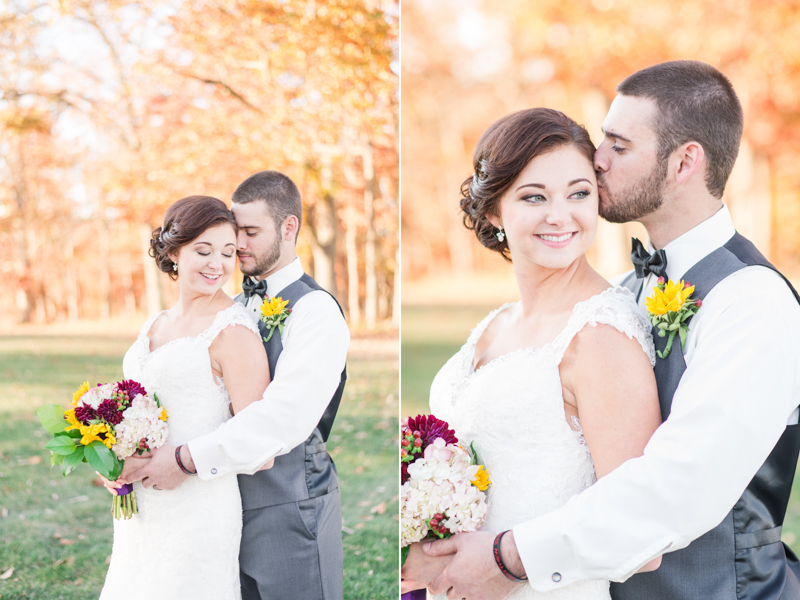 I had to tell them a few times that all I could do when looking at them was smile and squeal with happiness, haha! 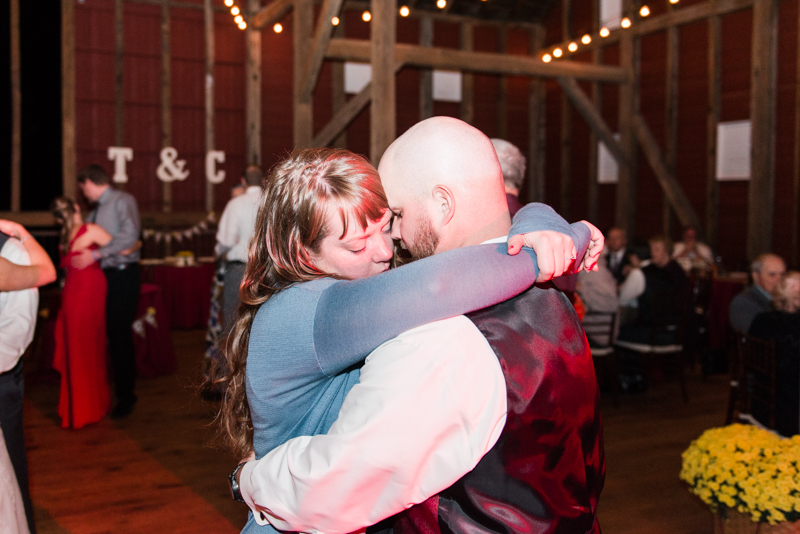 I'm also pretty sure there wasn't 5 minutes during the wedding that they weren't in each other's arms. 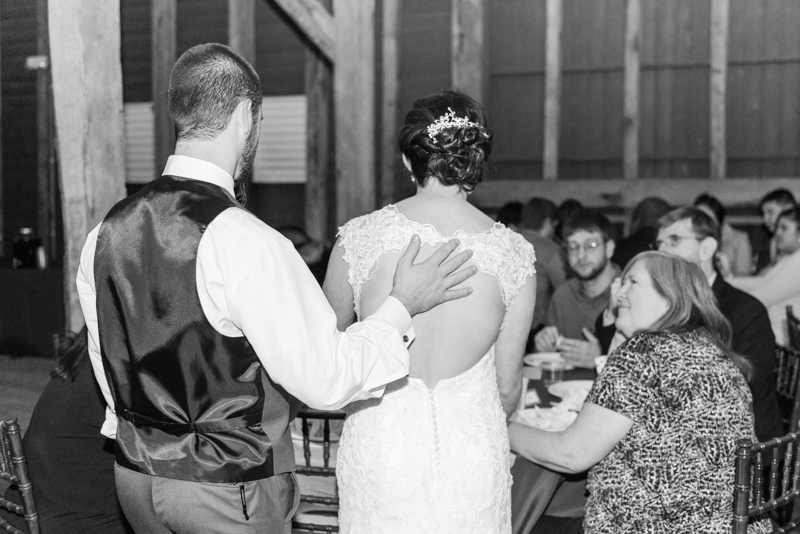 Even at the reception, Taylor was right next to Chelsey lightly rubbing her back. 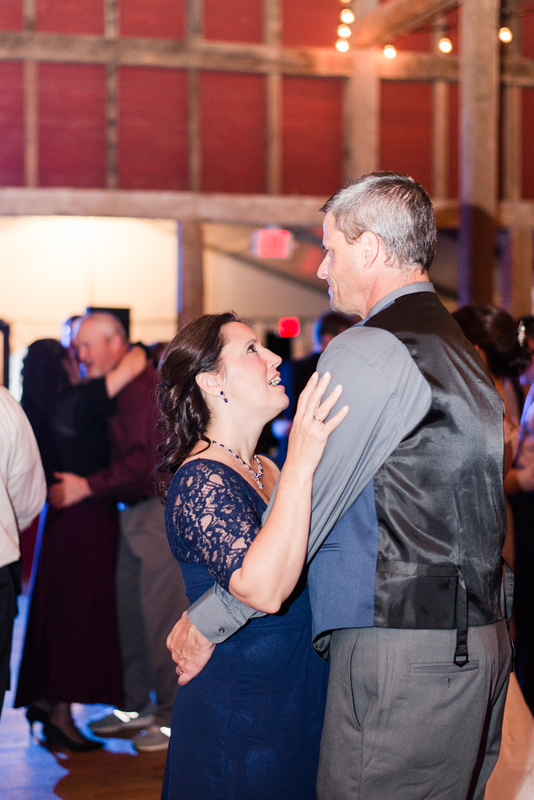 It was in the small gestures like that, that we got to see the love between these two. 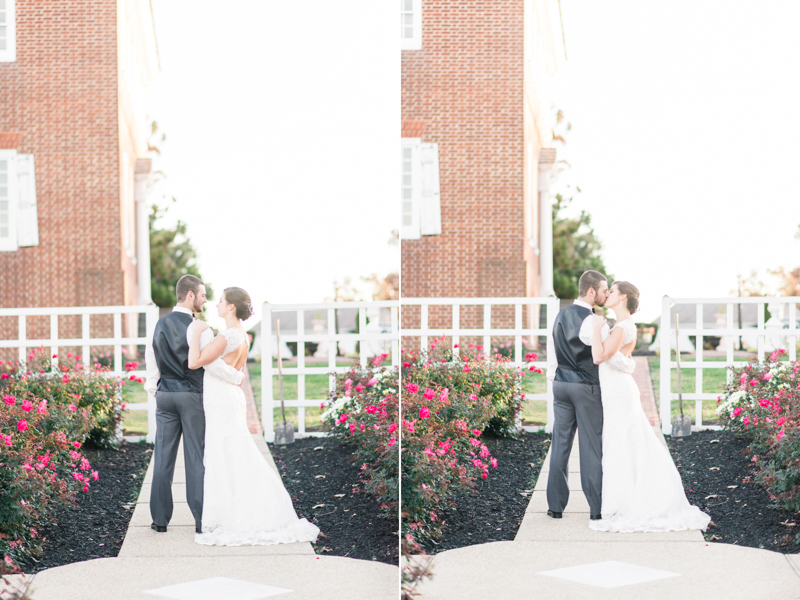 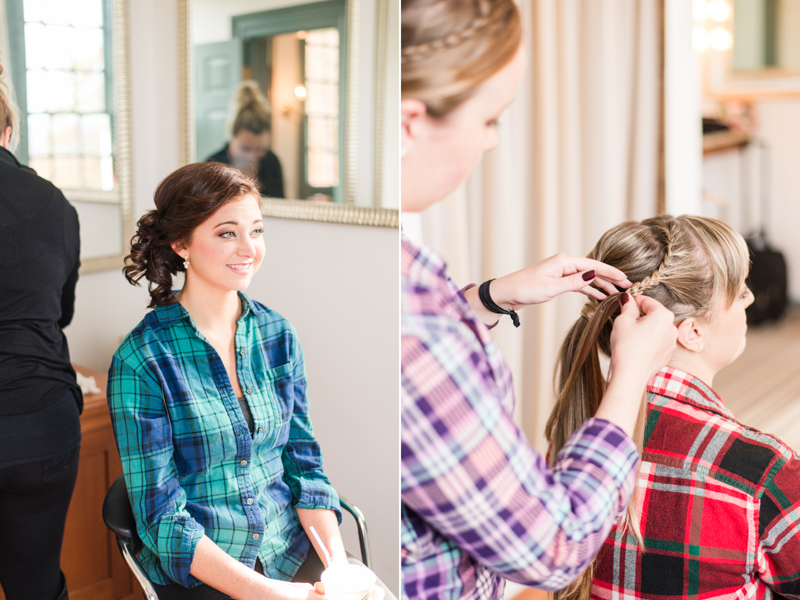 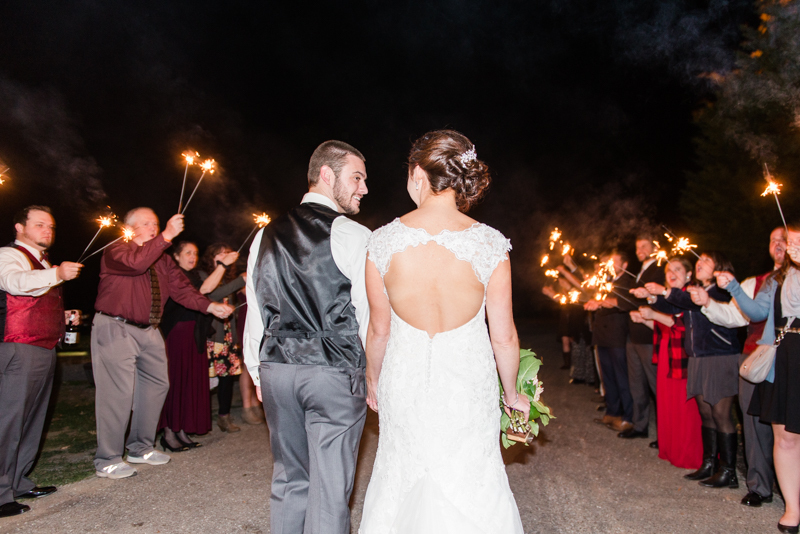 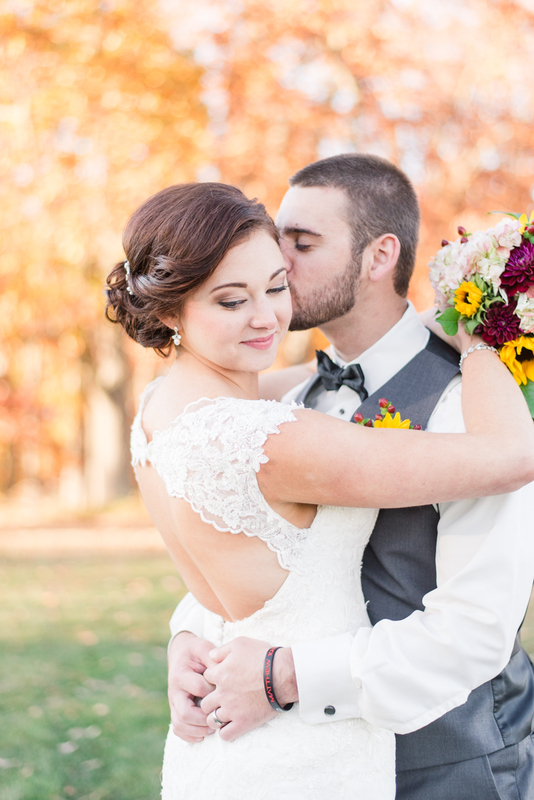 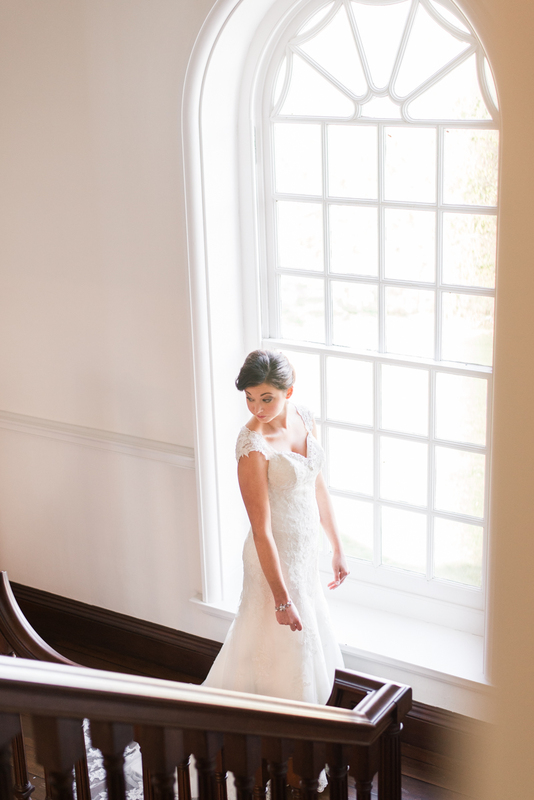 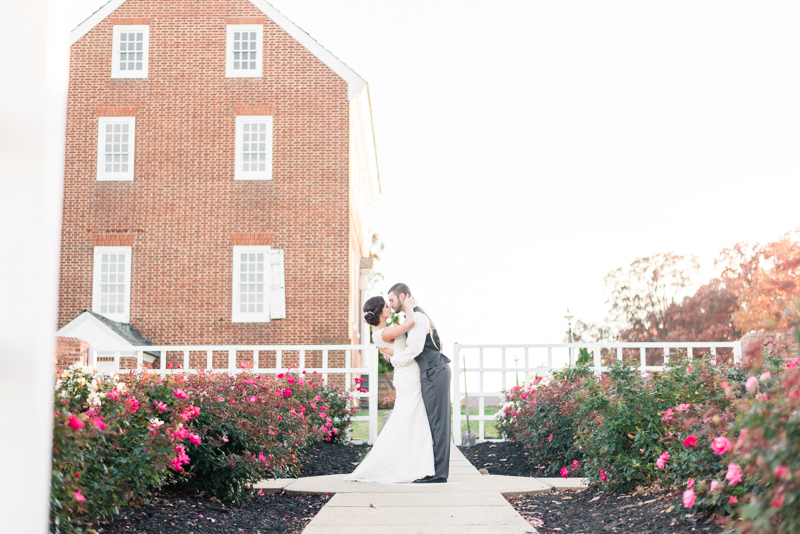 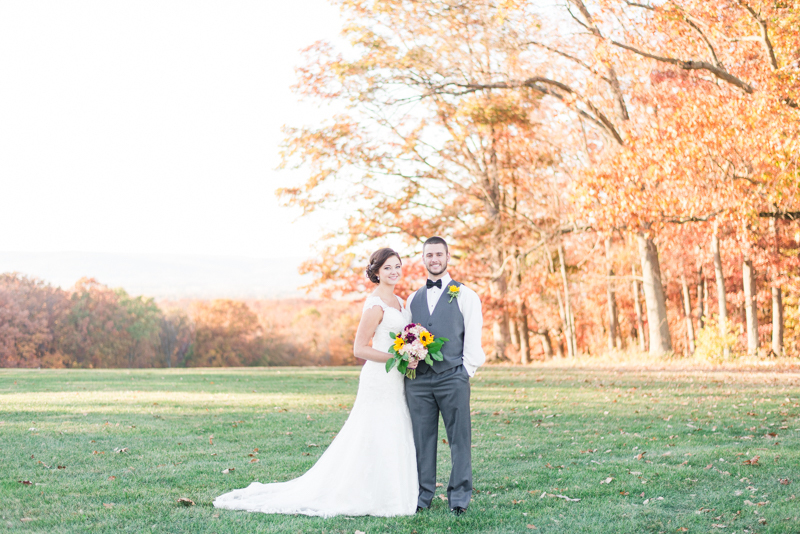 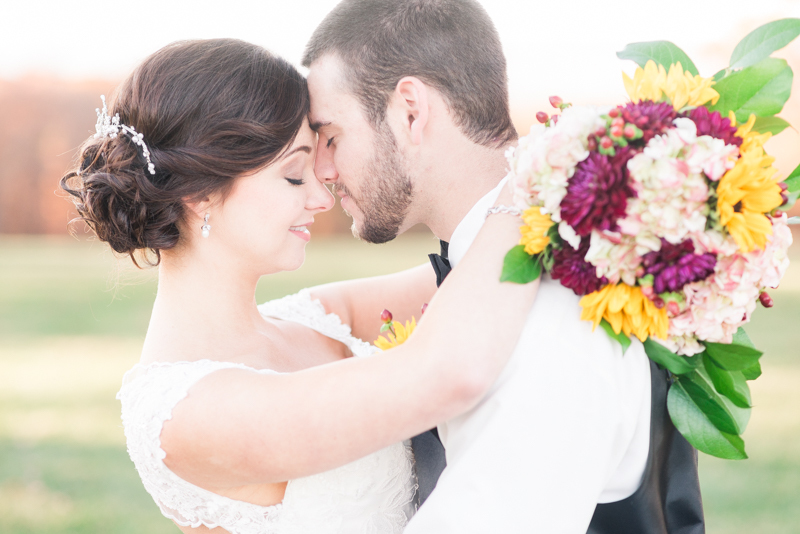 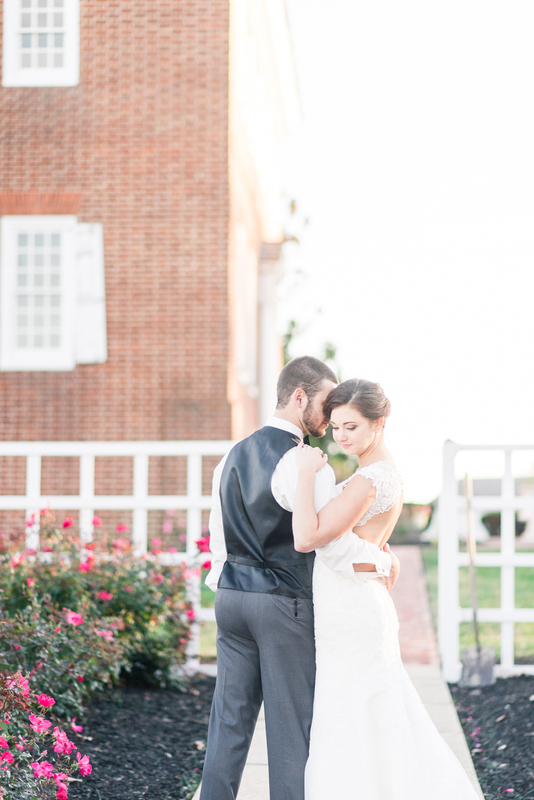 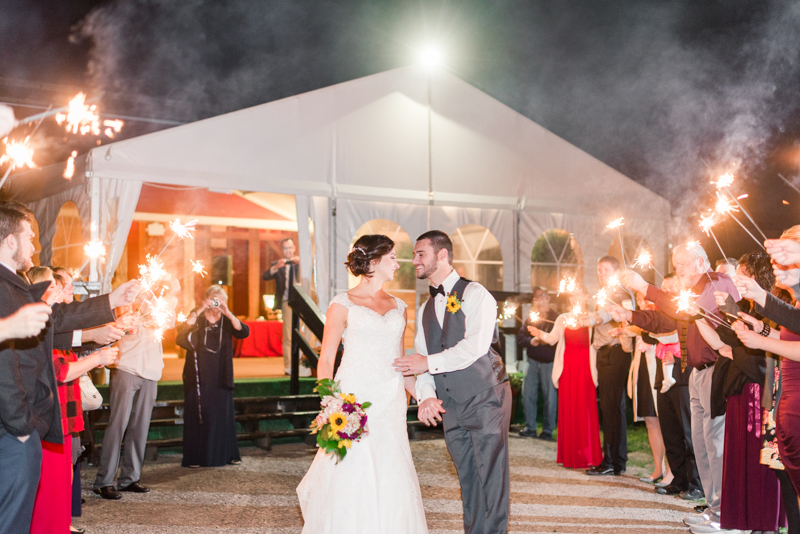 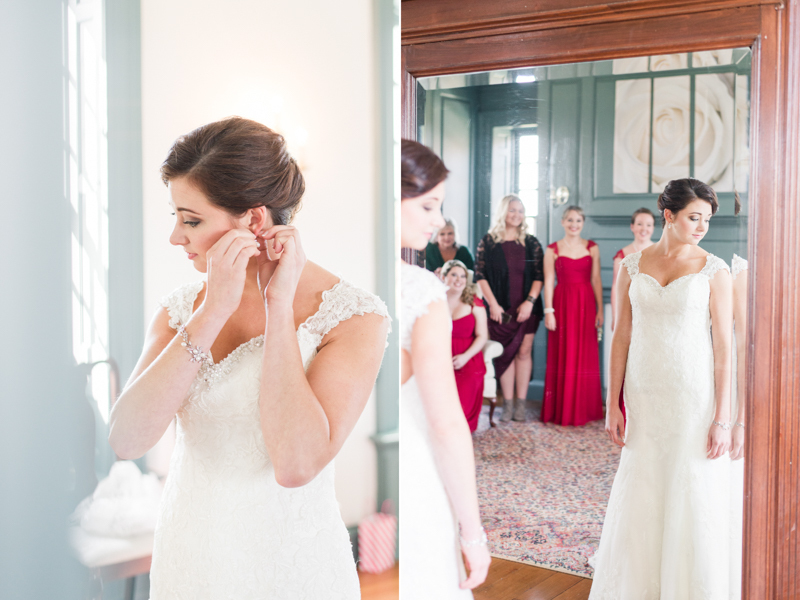 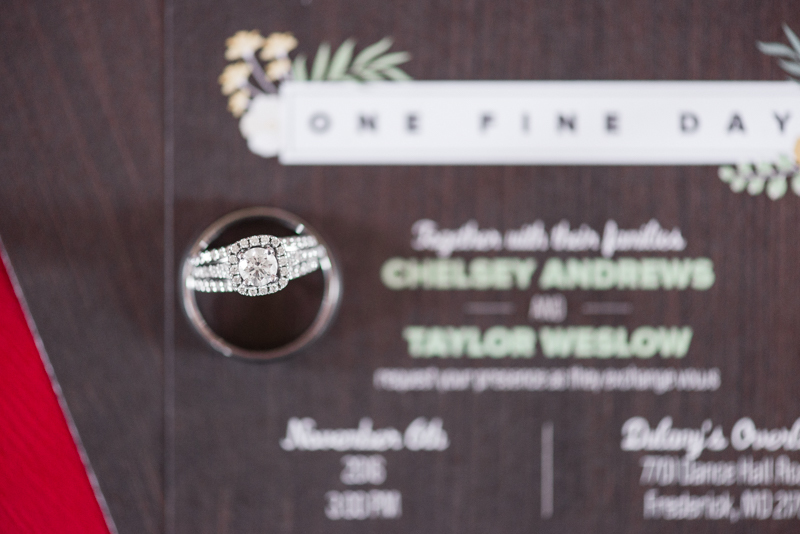 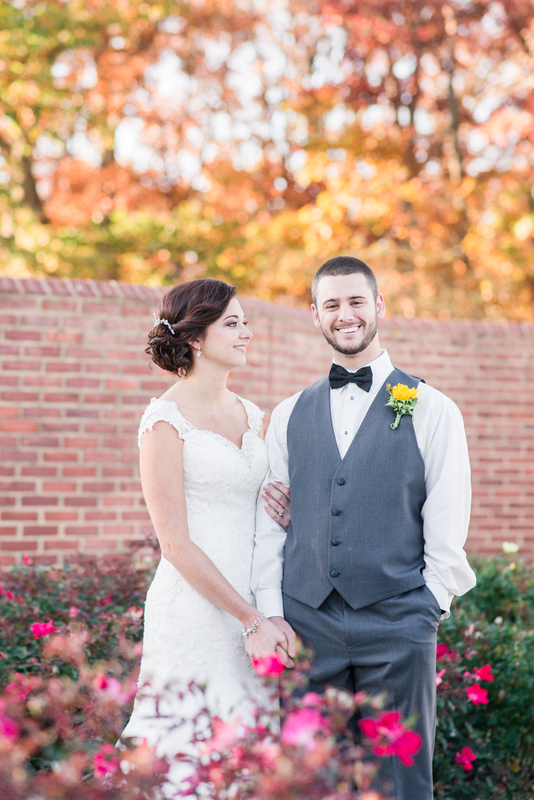 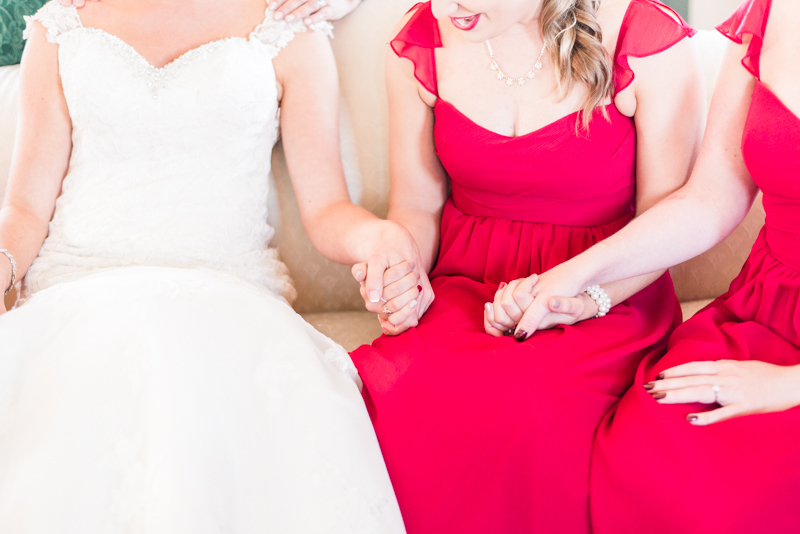 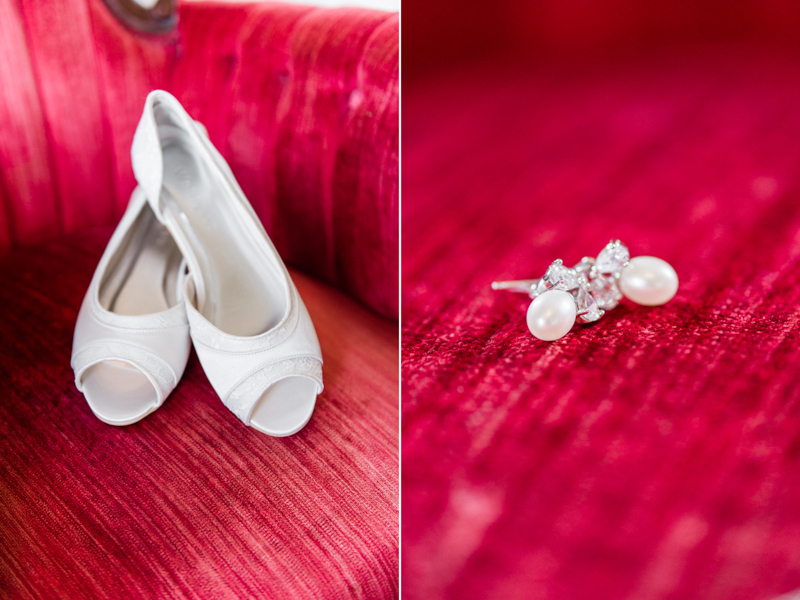 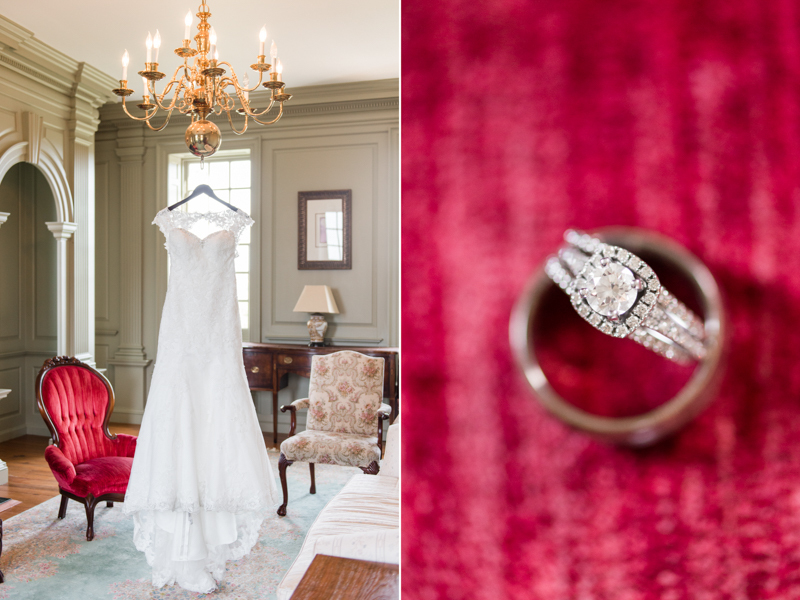 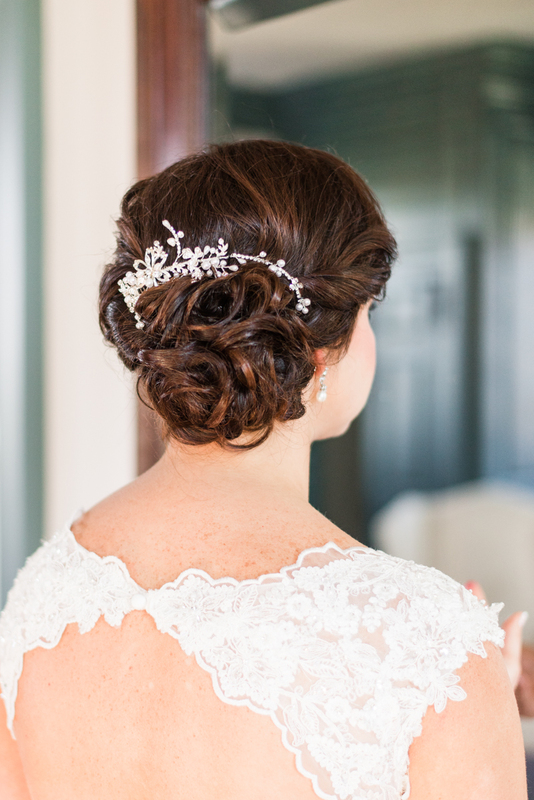 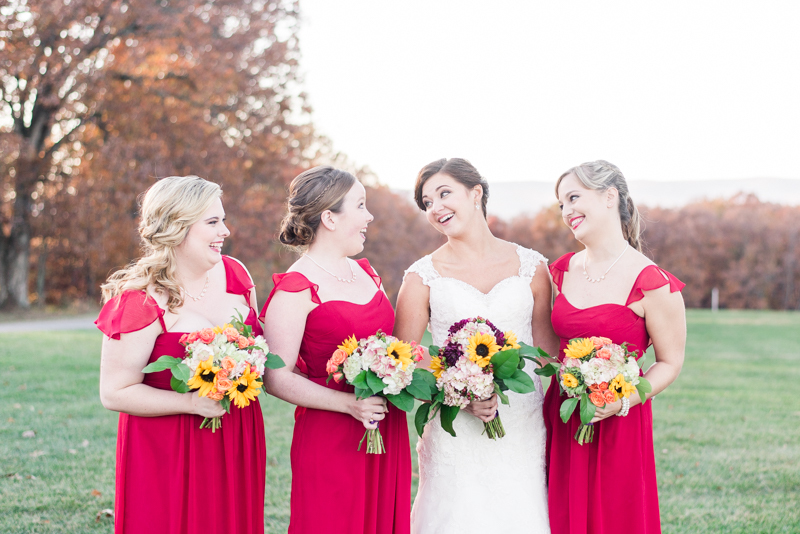 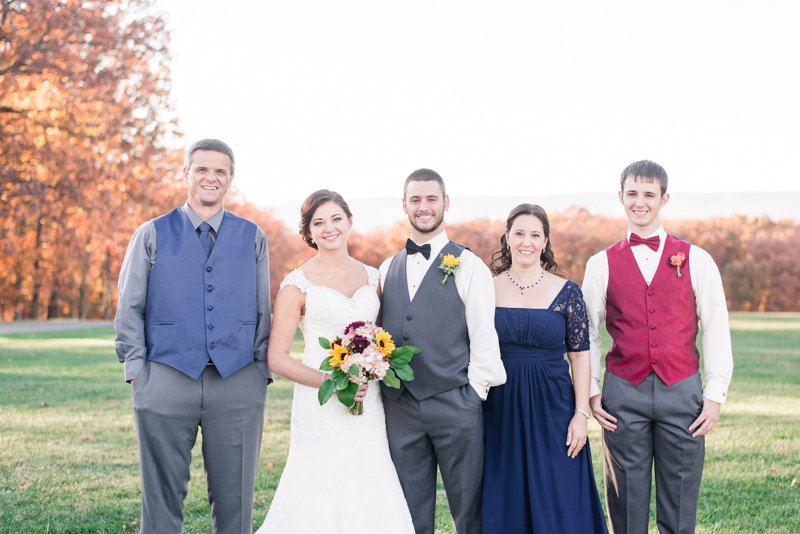 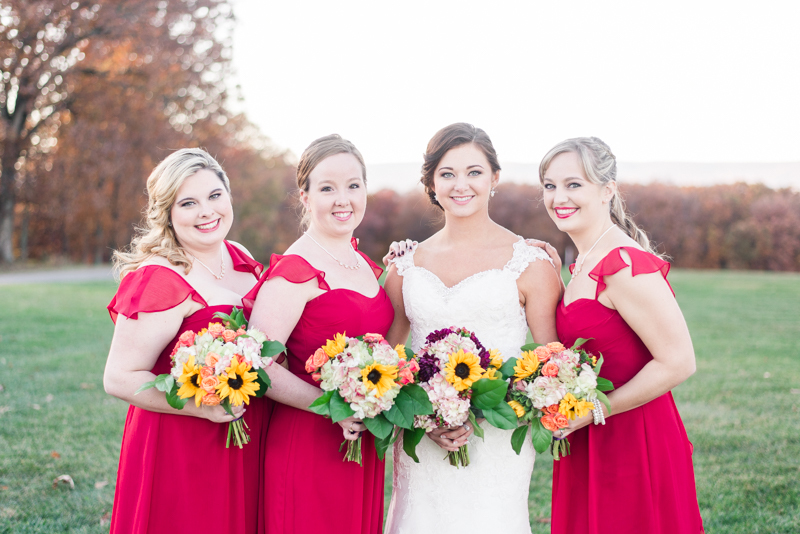 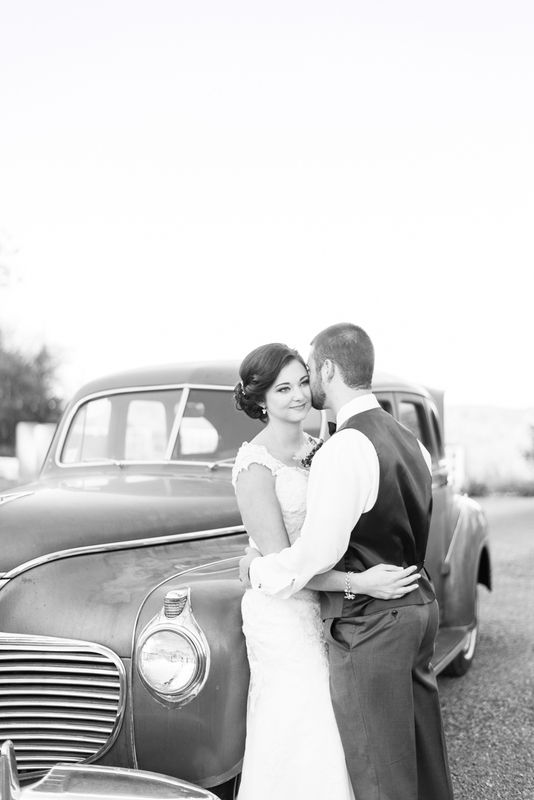 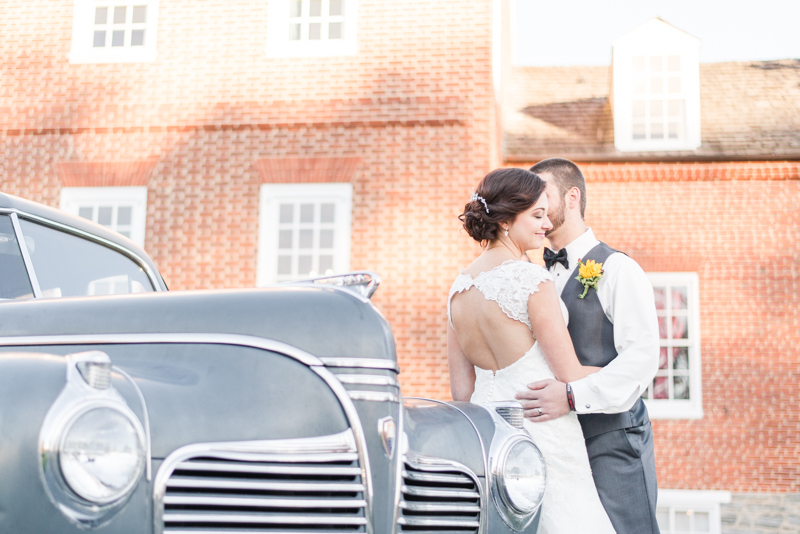 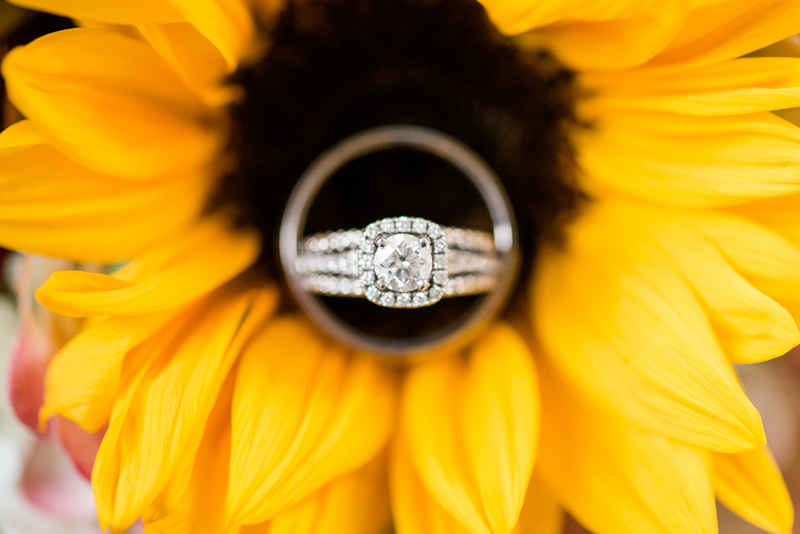 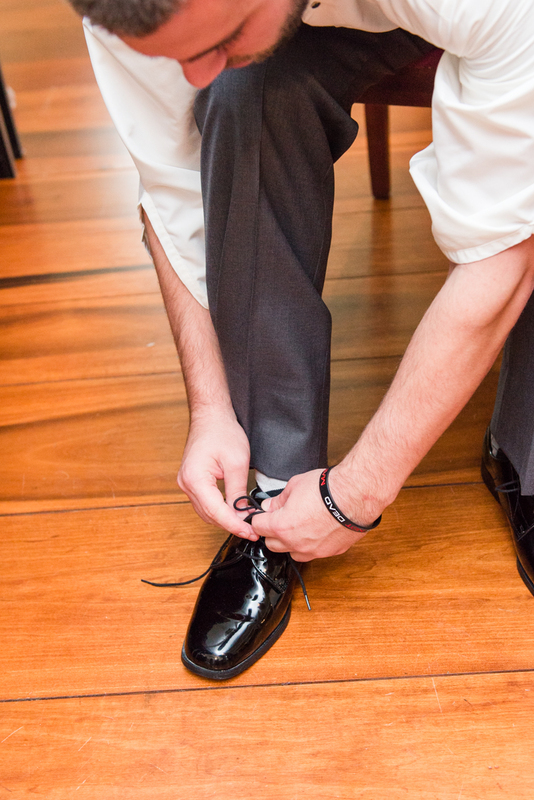 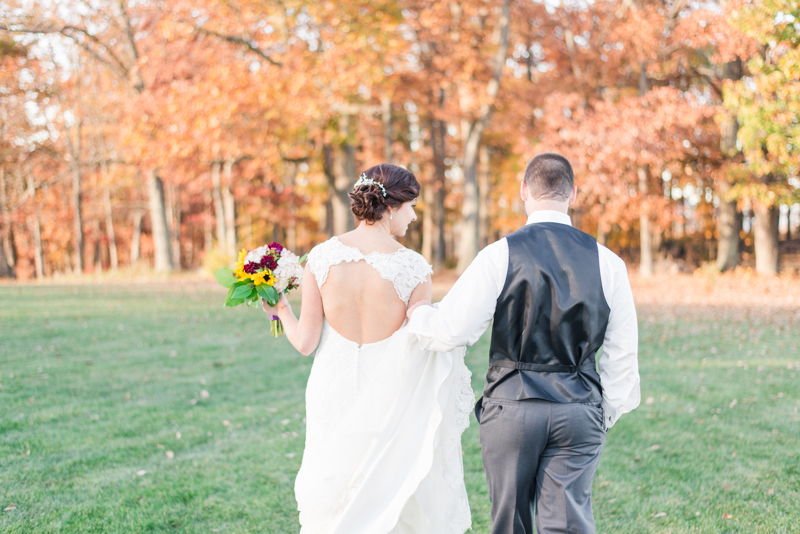 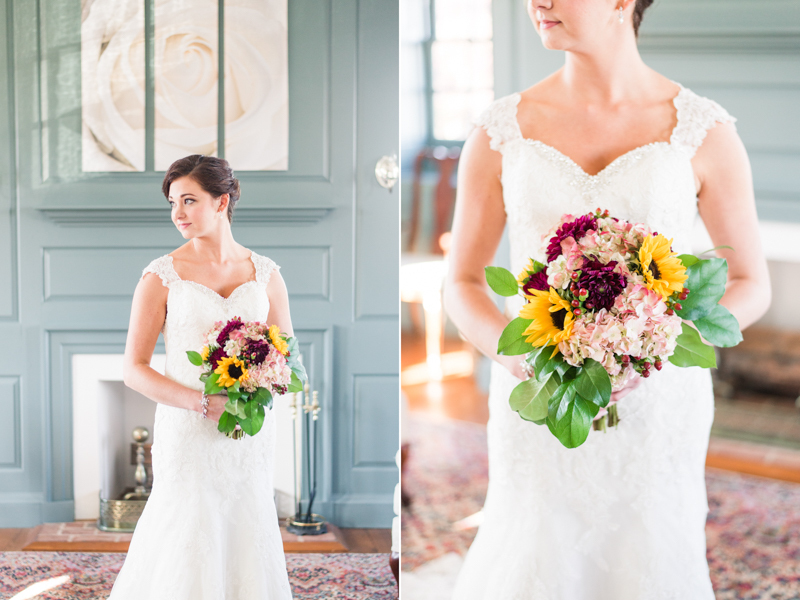 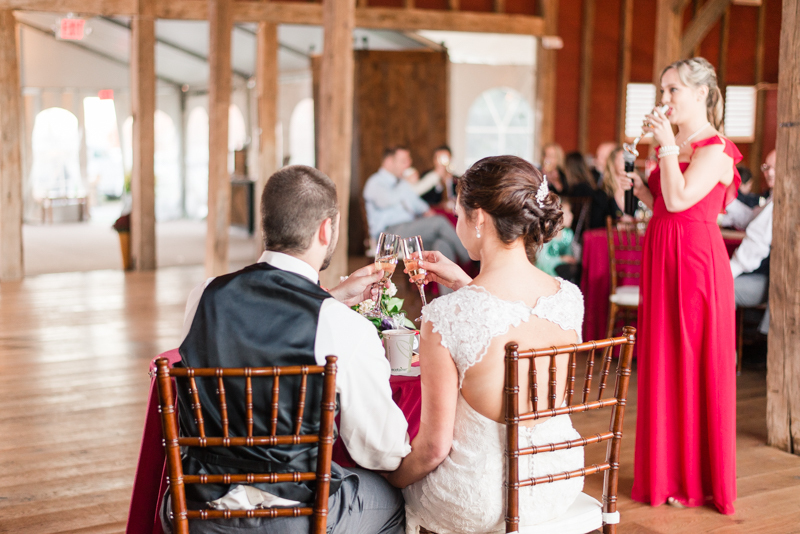 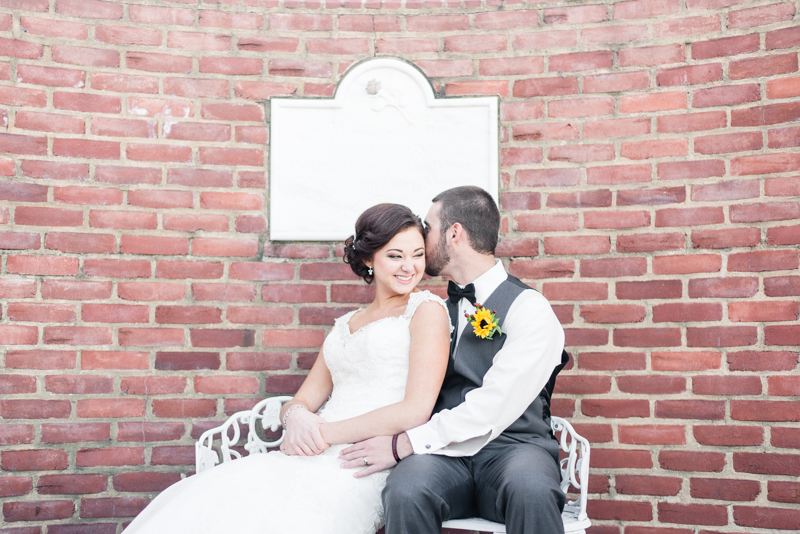 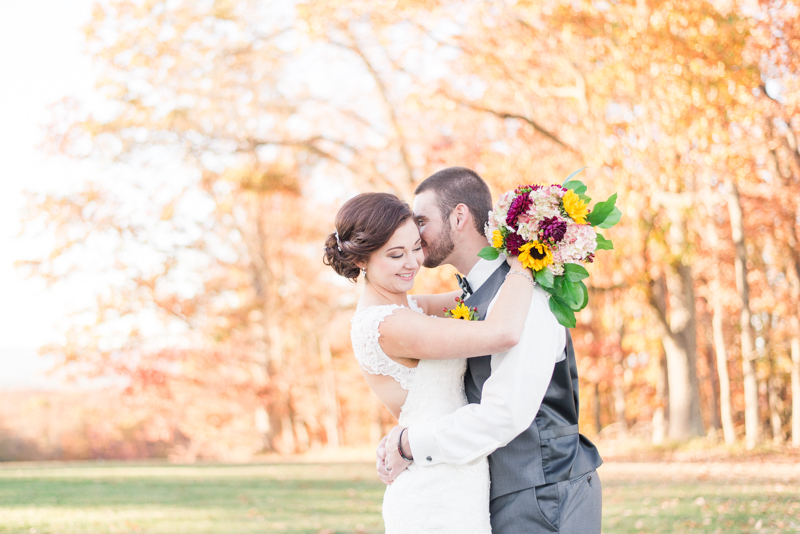 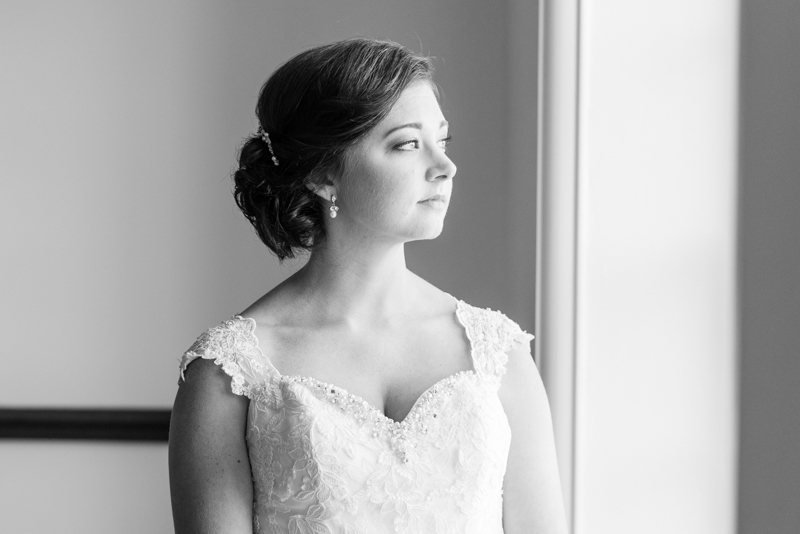 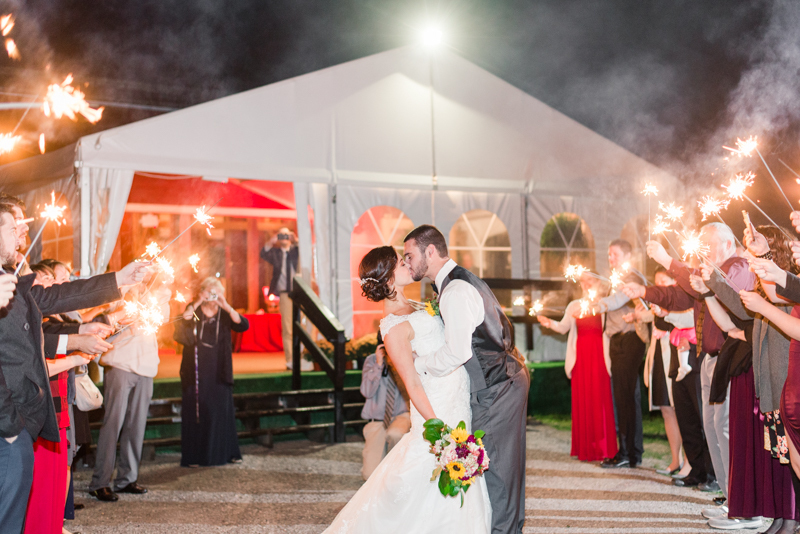 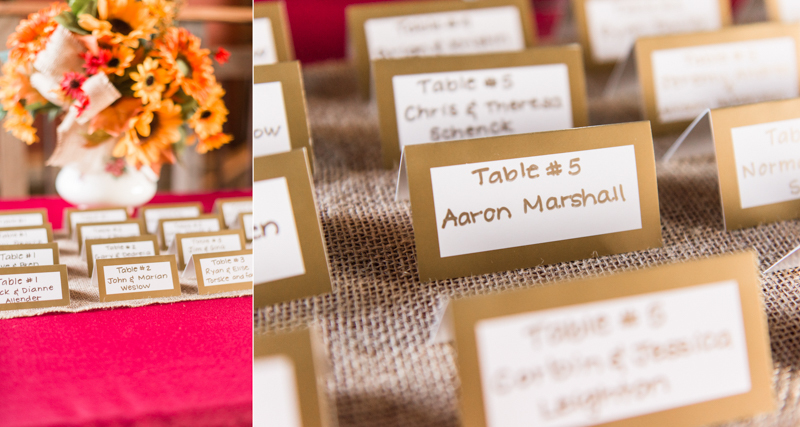 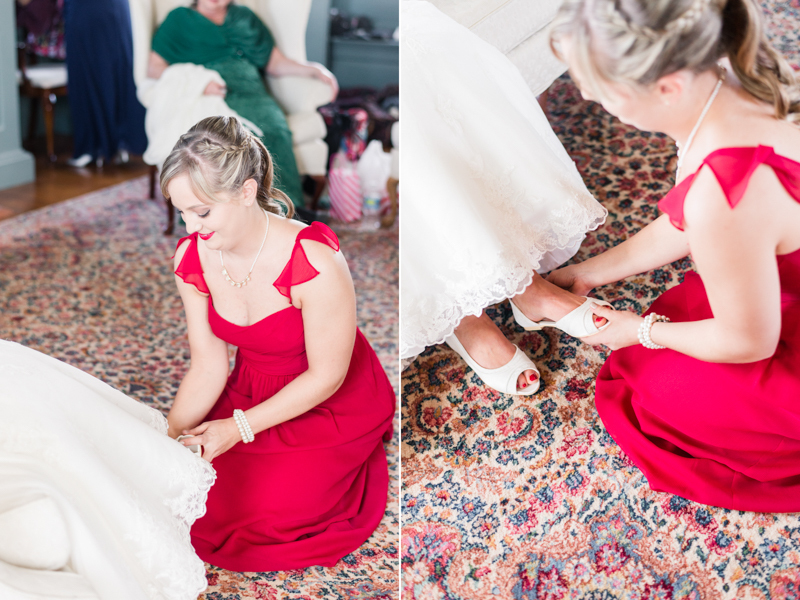 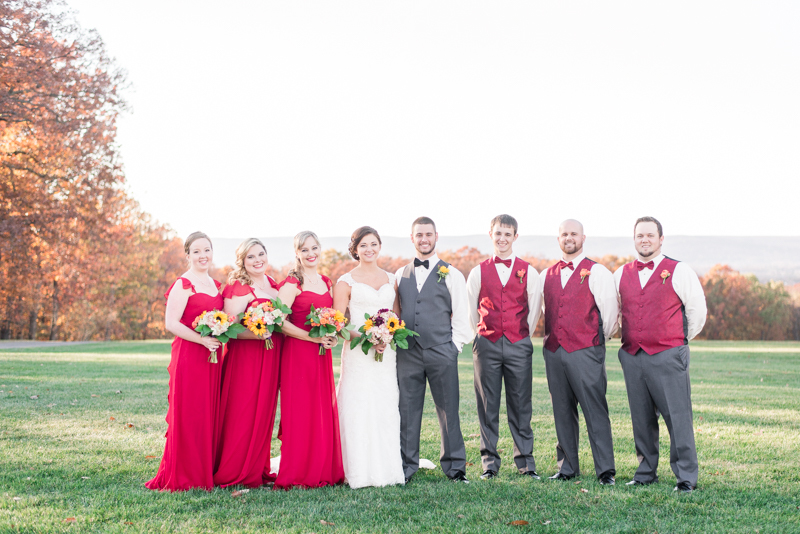 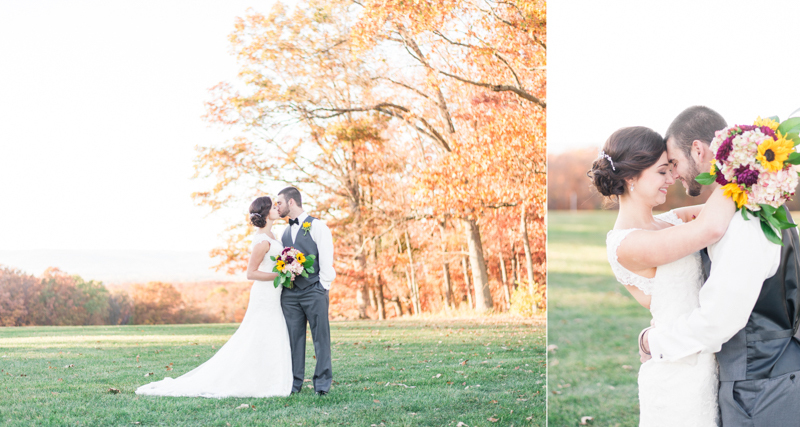 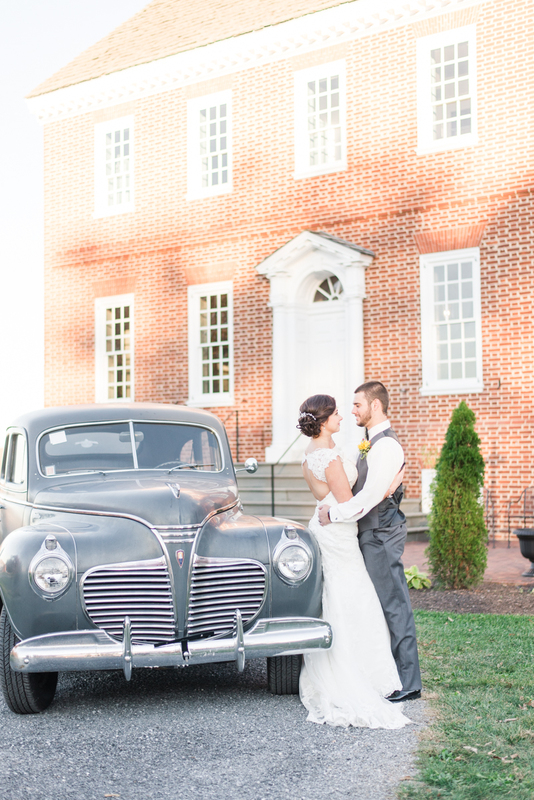 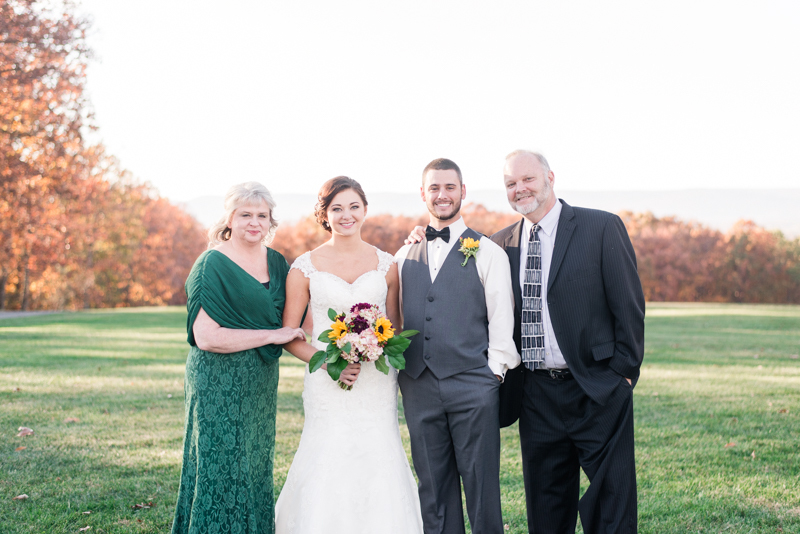 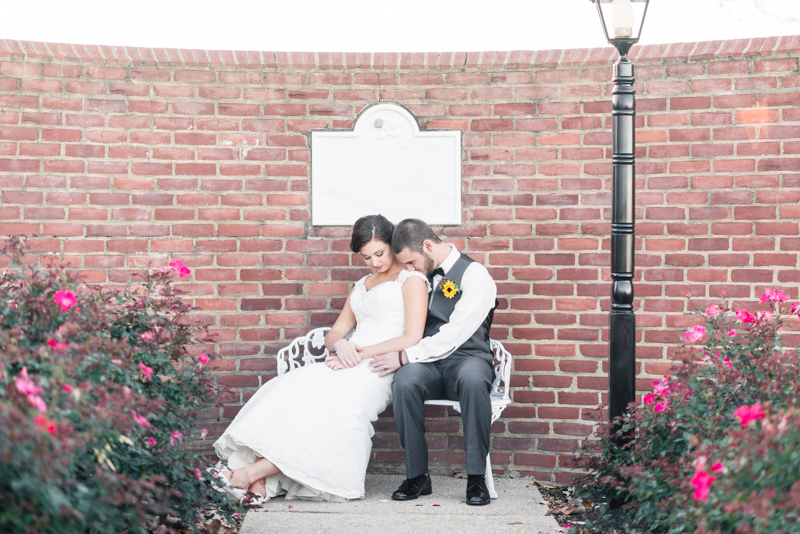 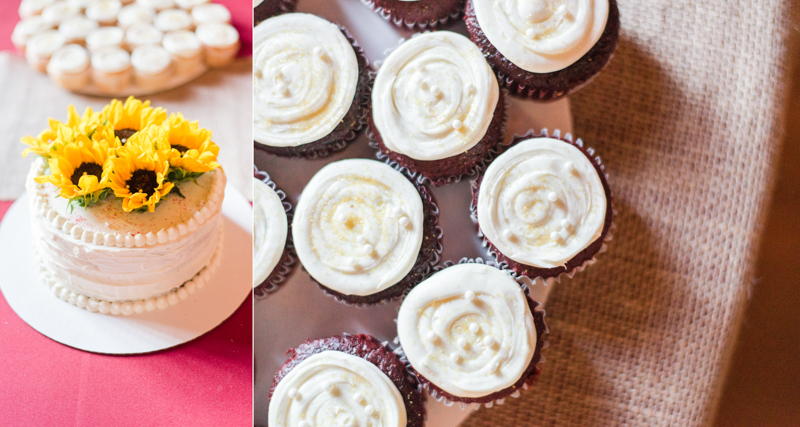 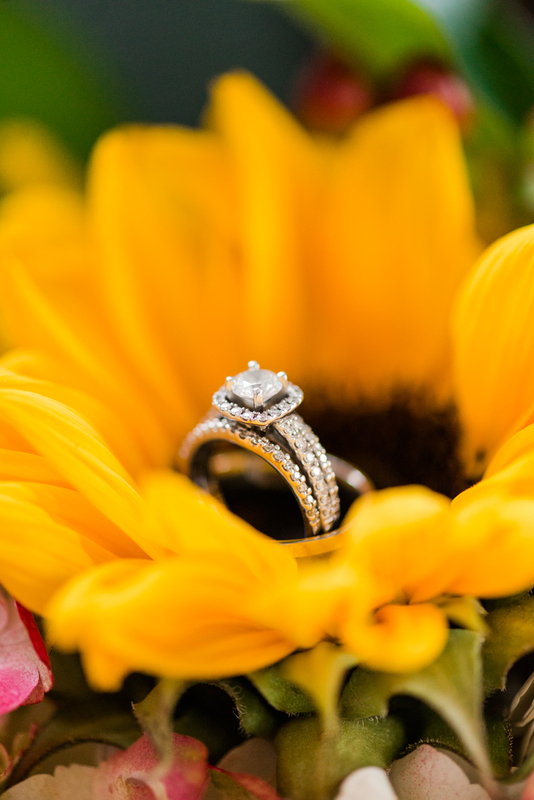 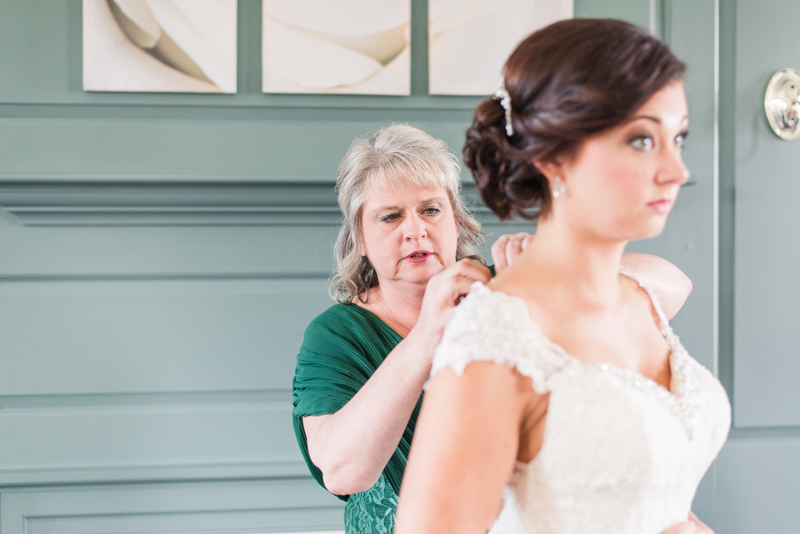 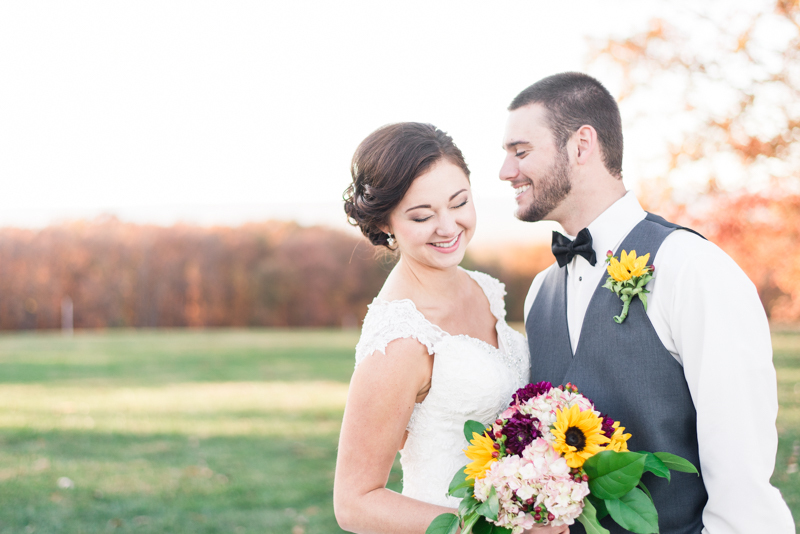 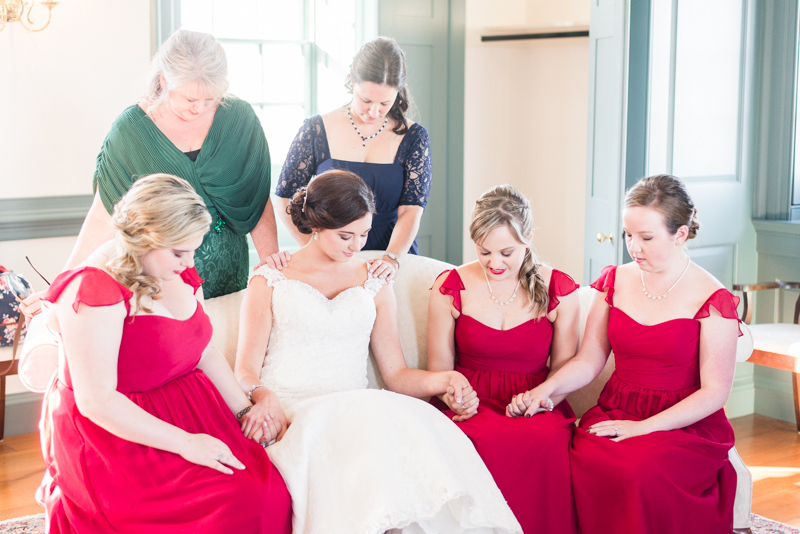 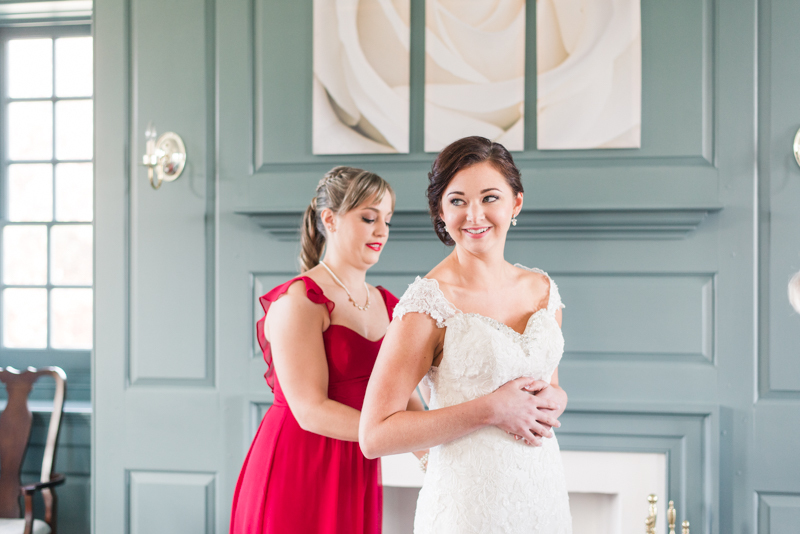 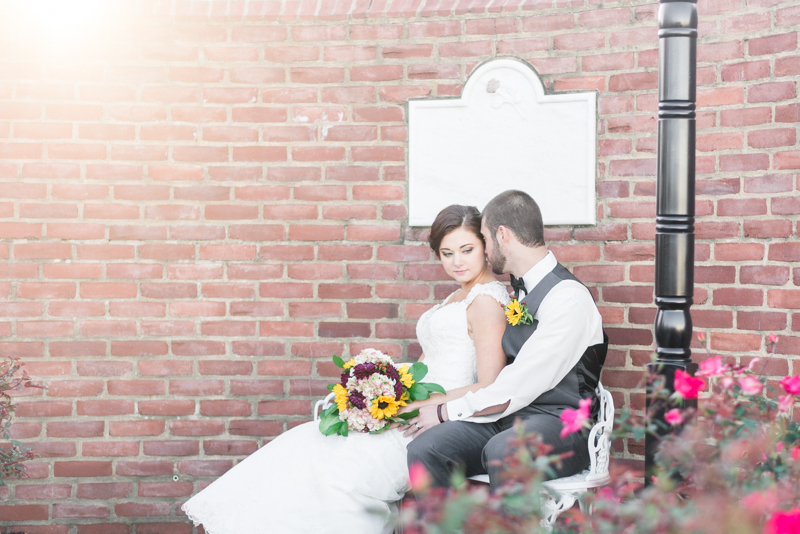 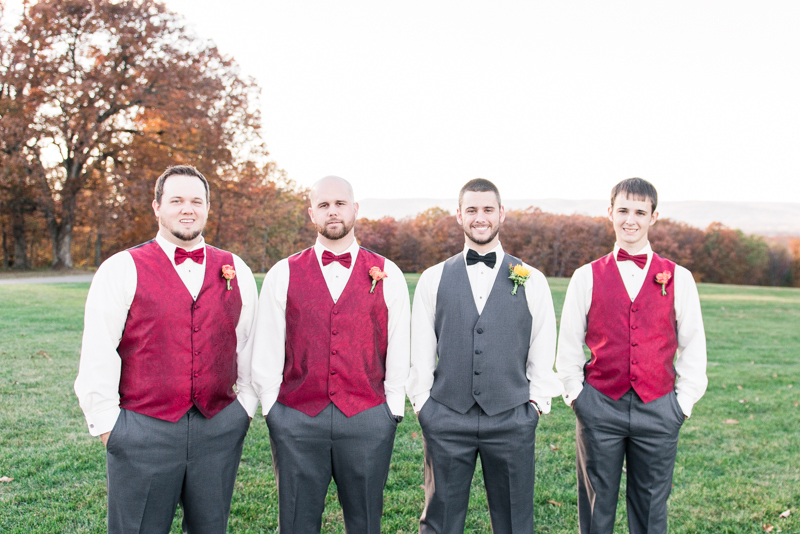 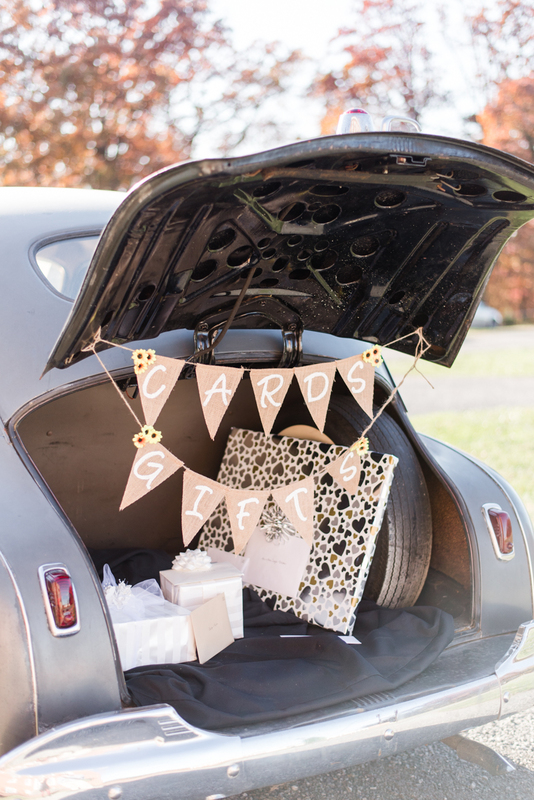 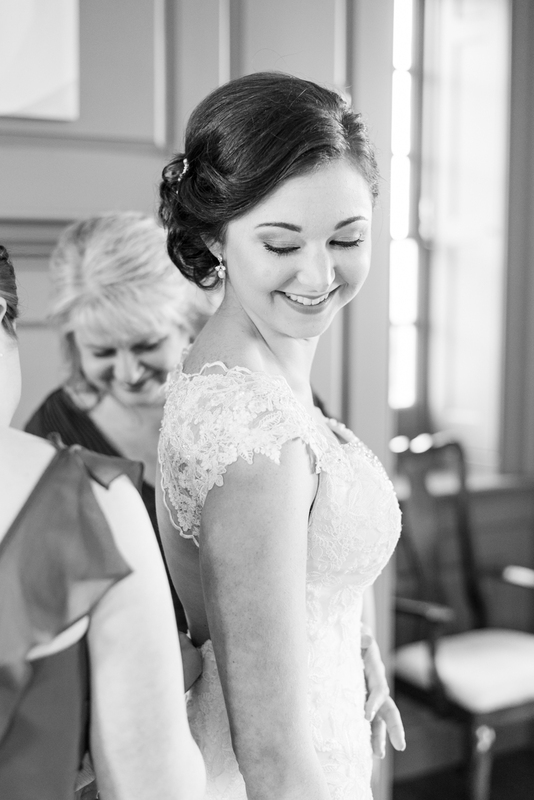 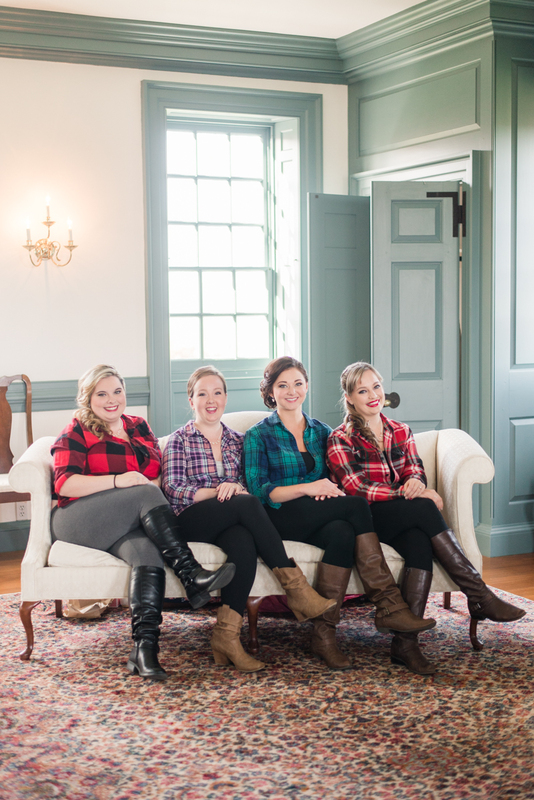 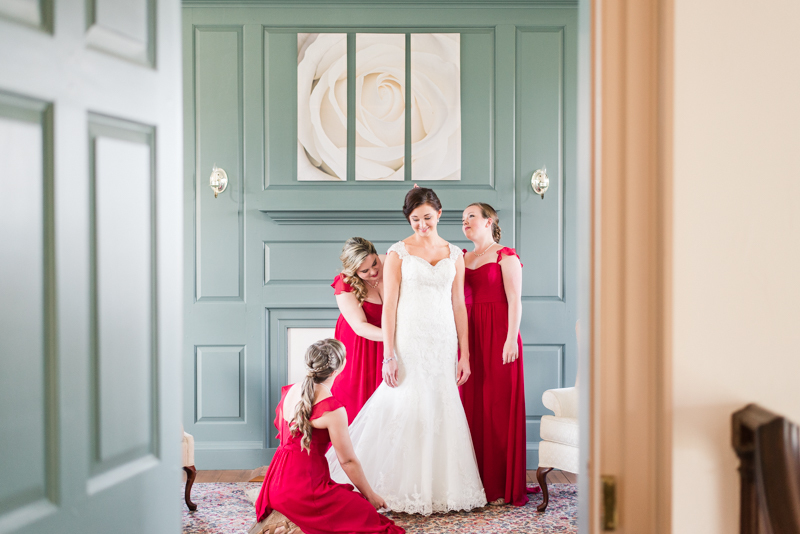 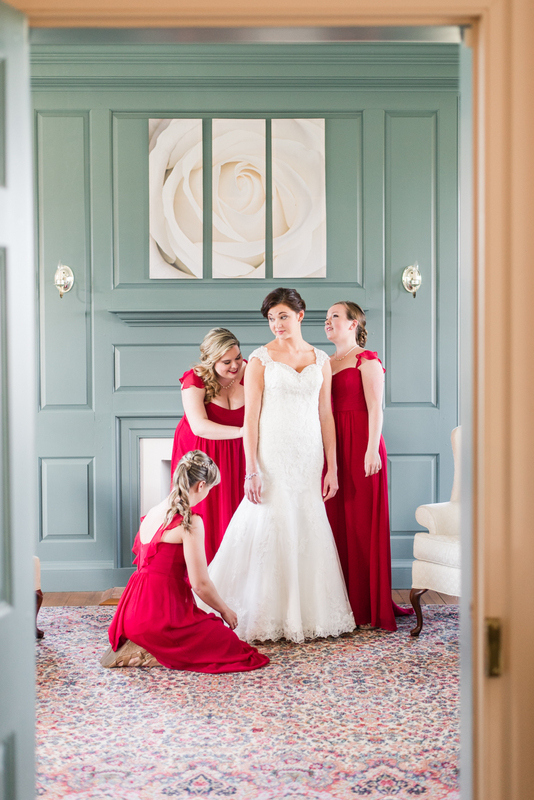 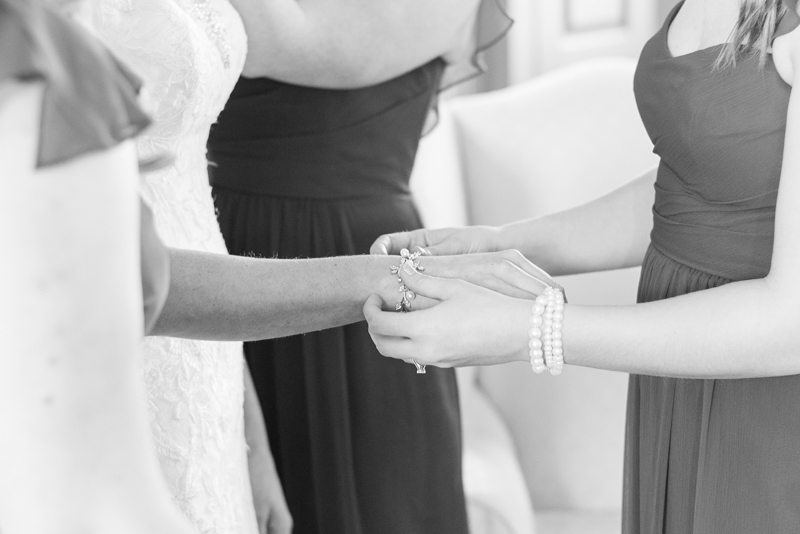 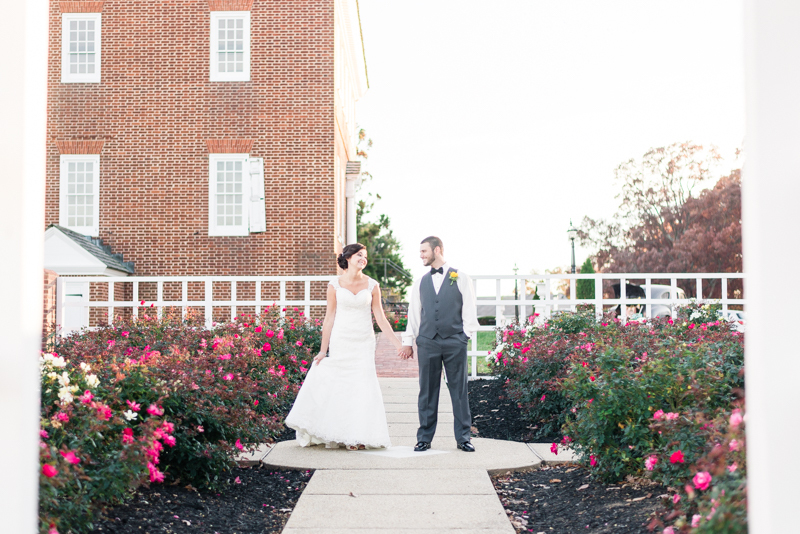 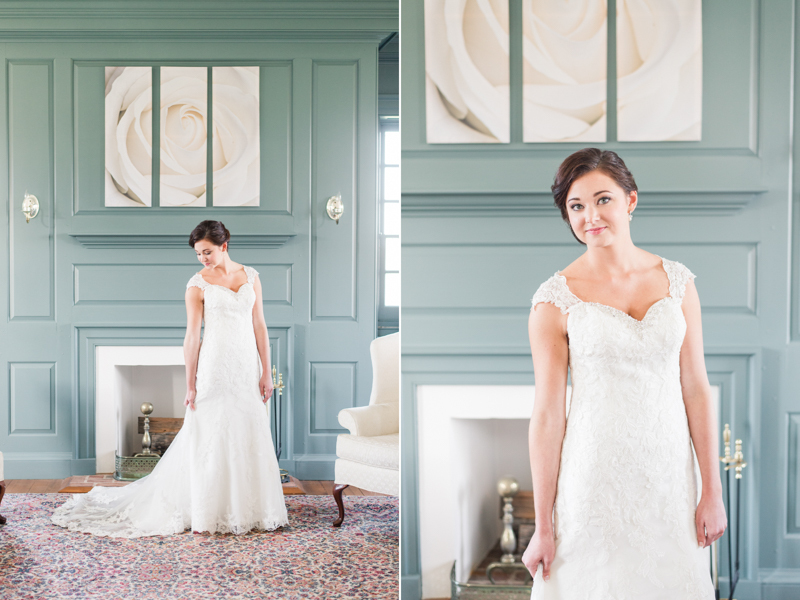 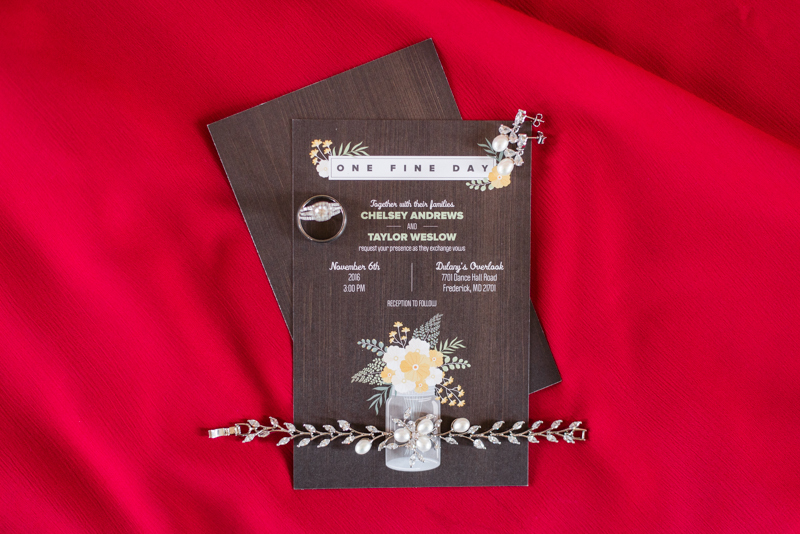 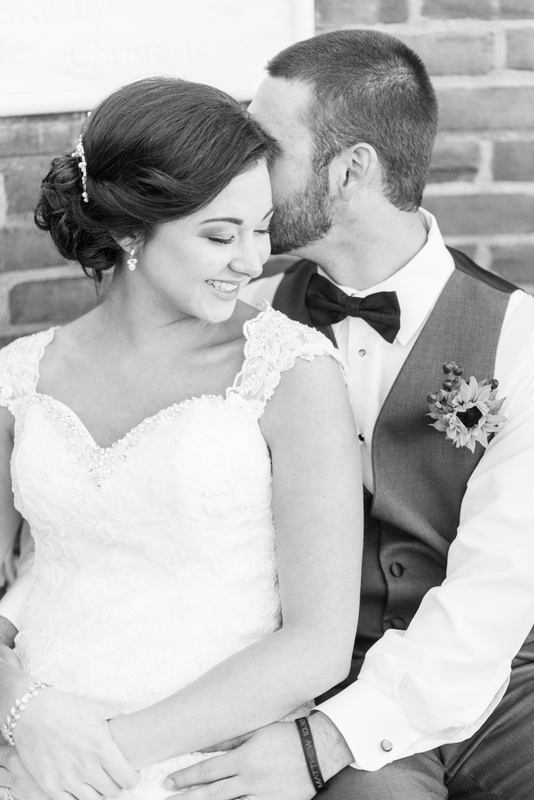 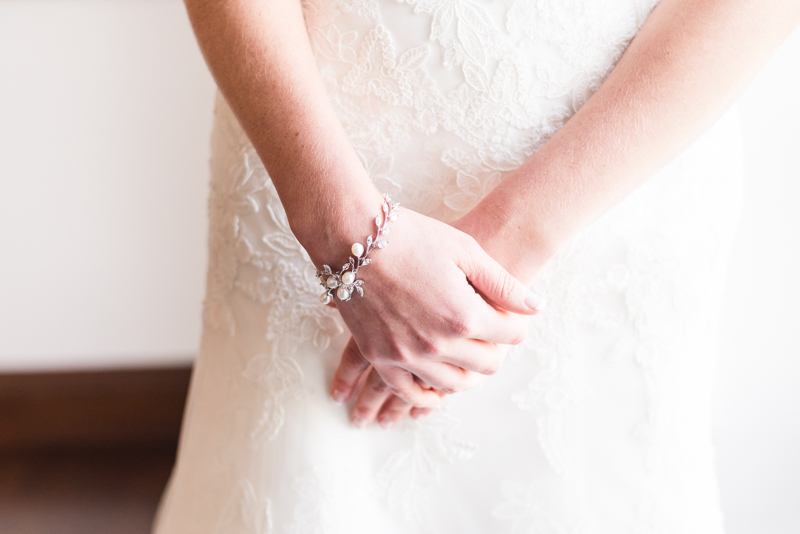 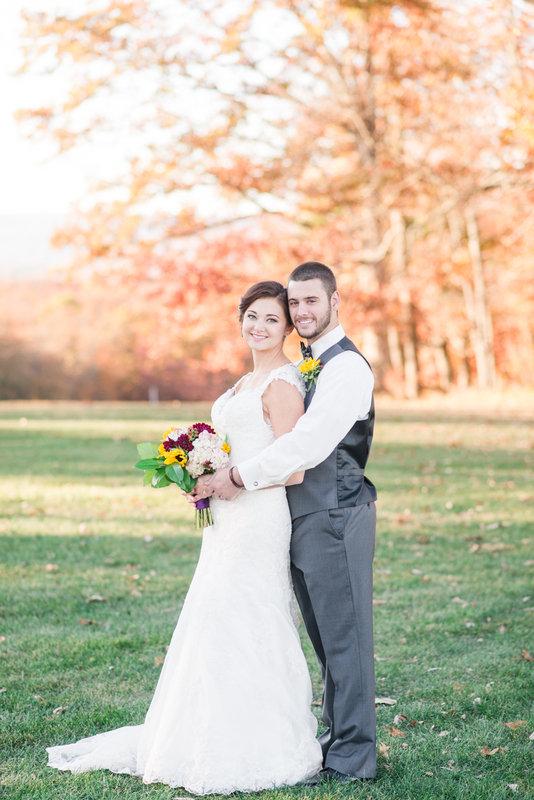 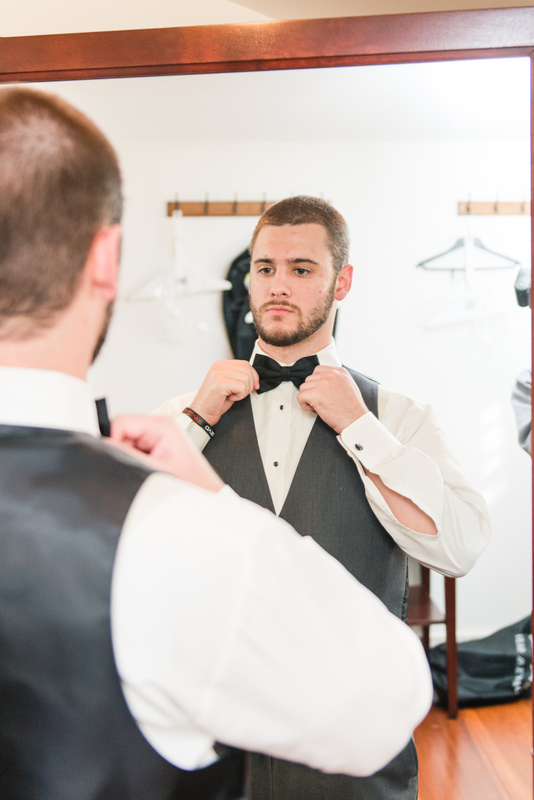 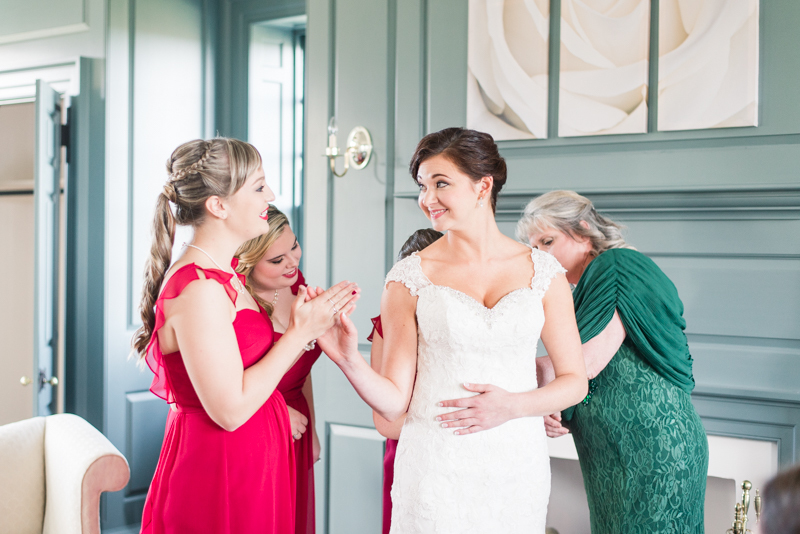 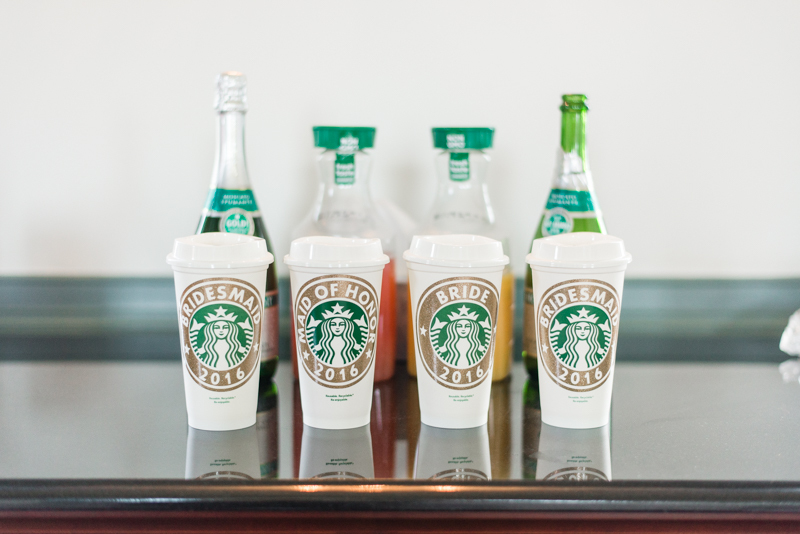 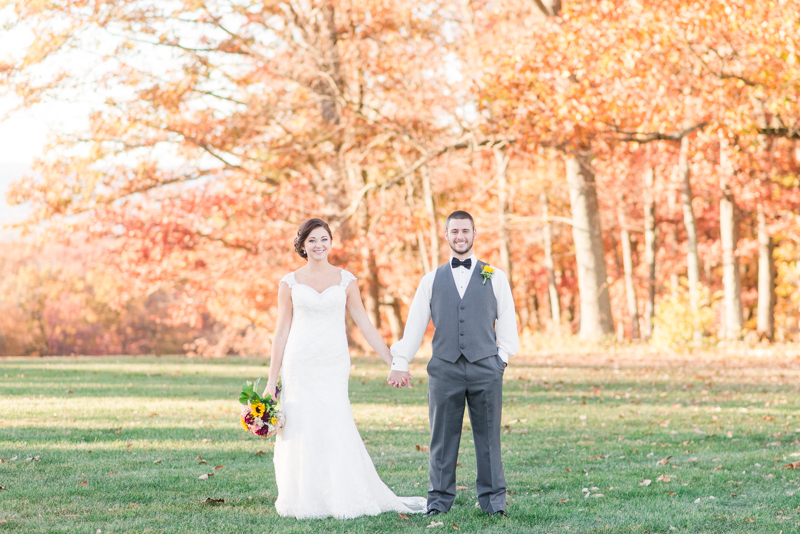 Check out their Dulany's Overlook wedding images!